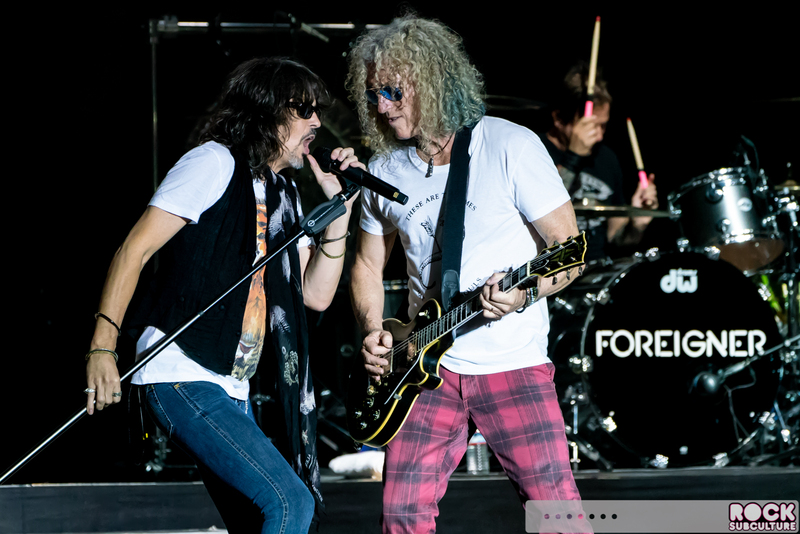 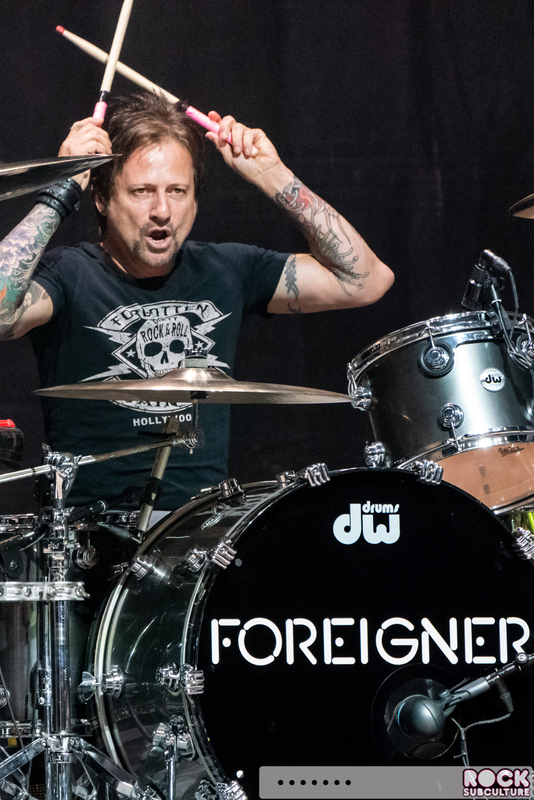 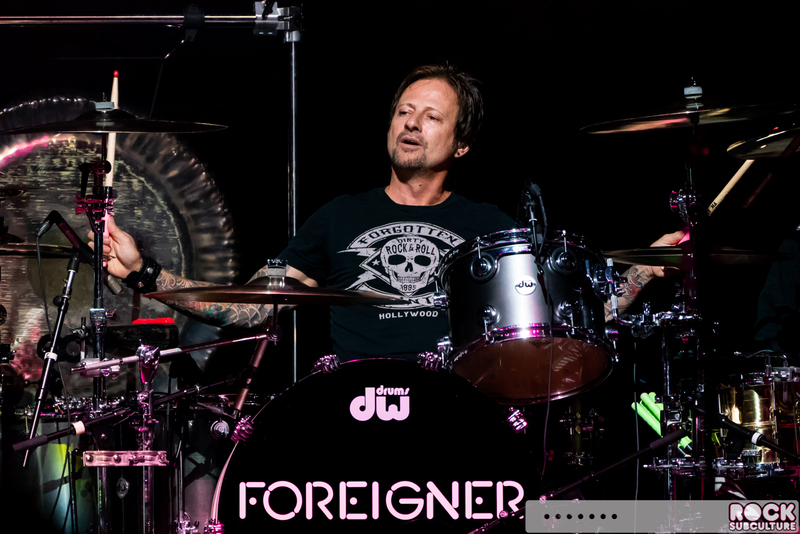 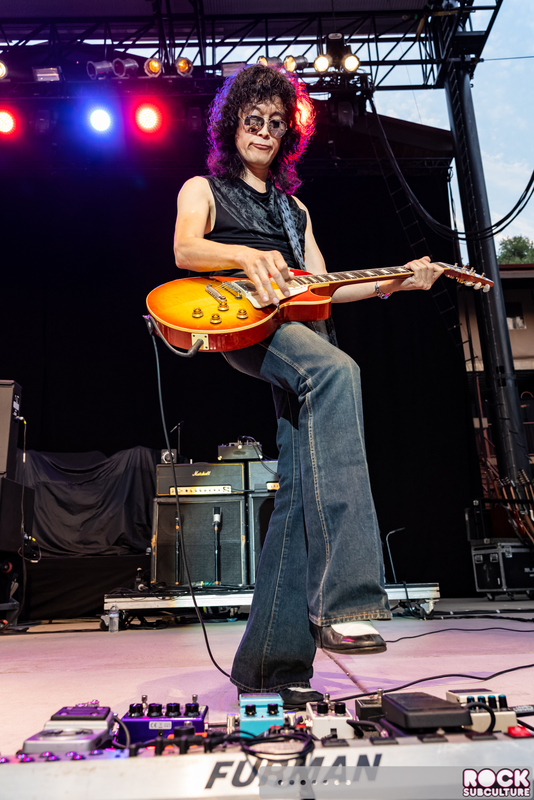 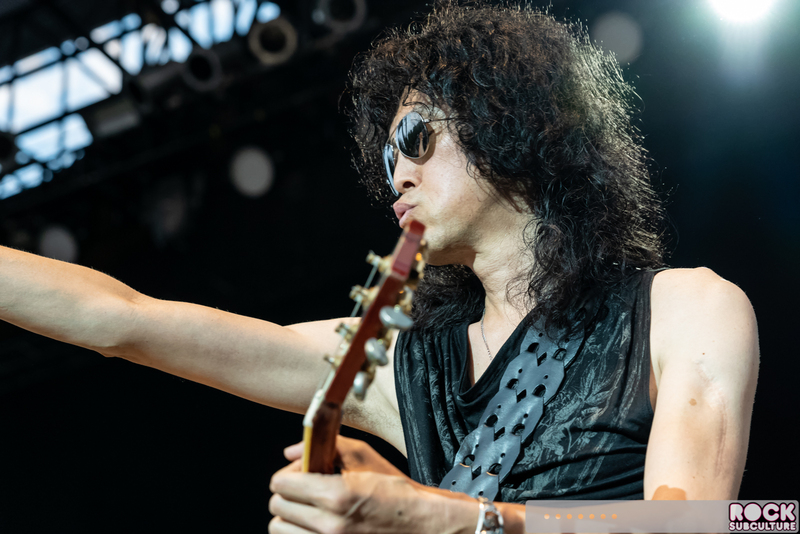 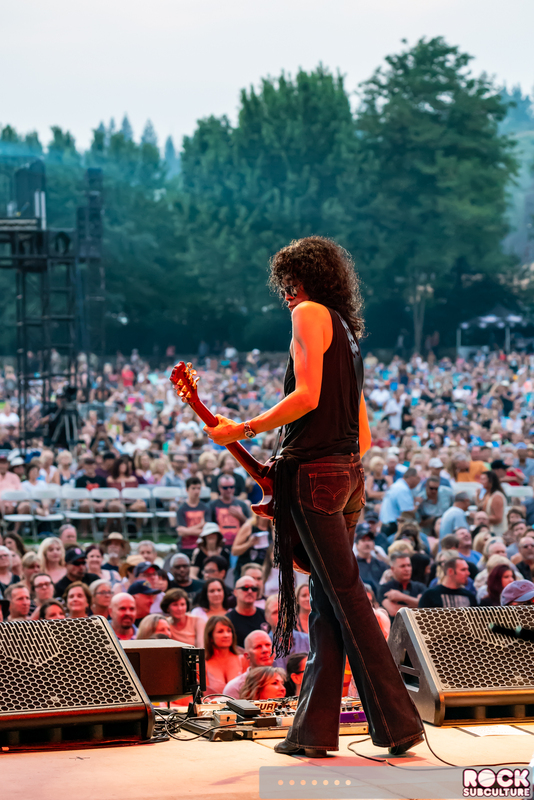 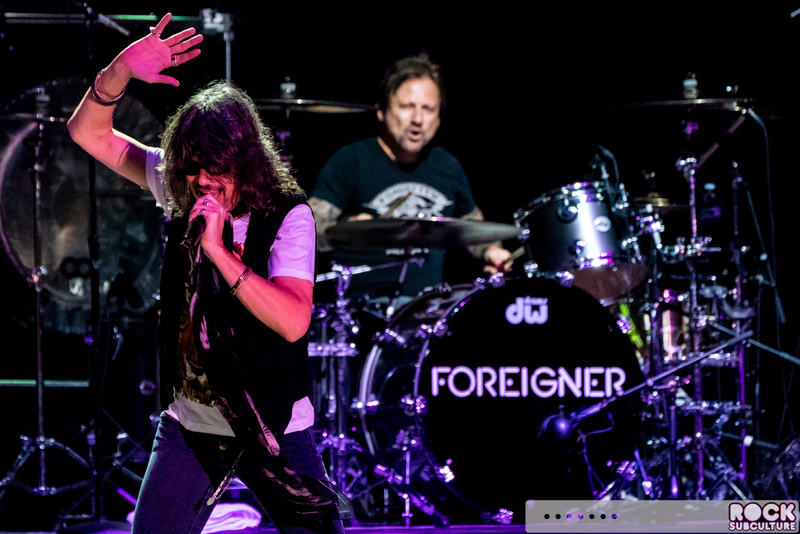 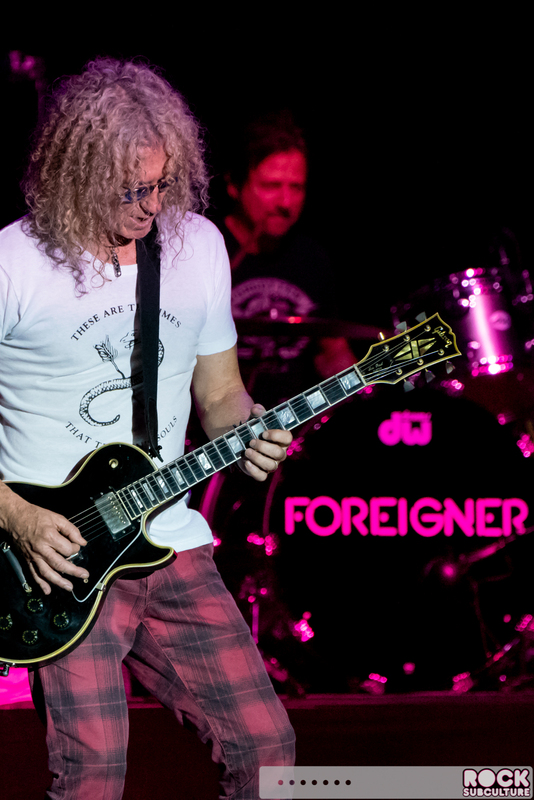 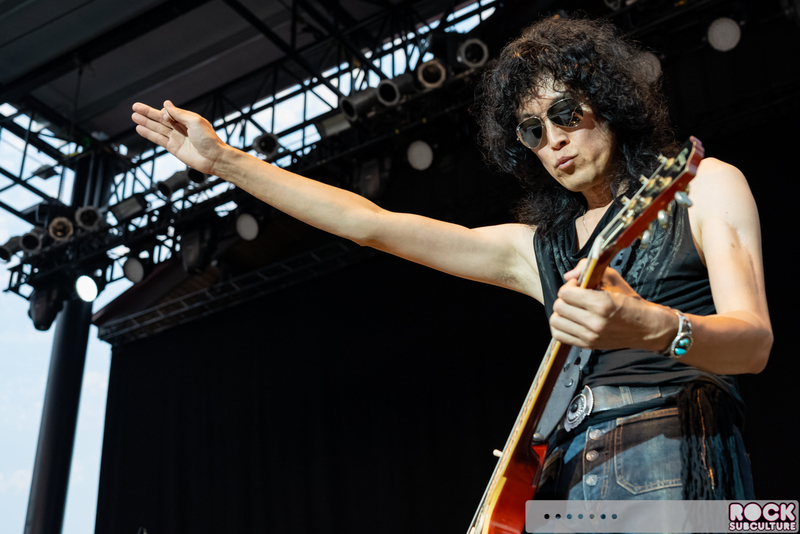 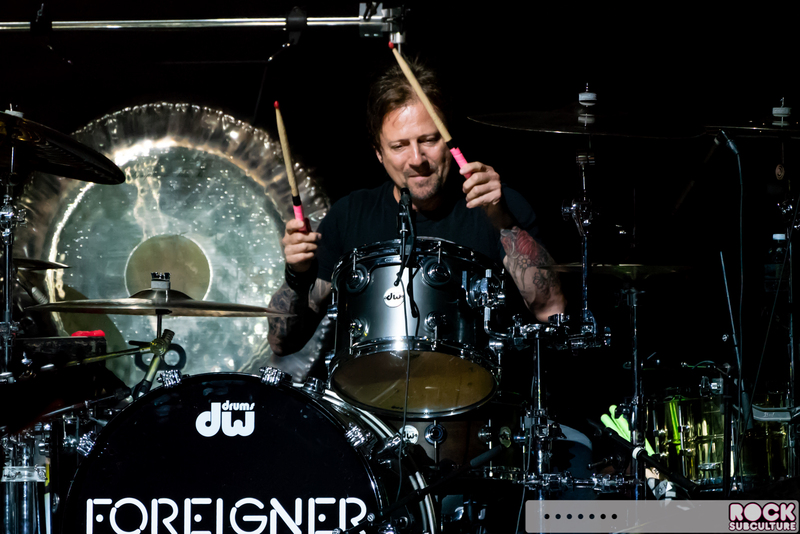 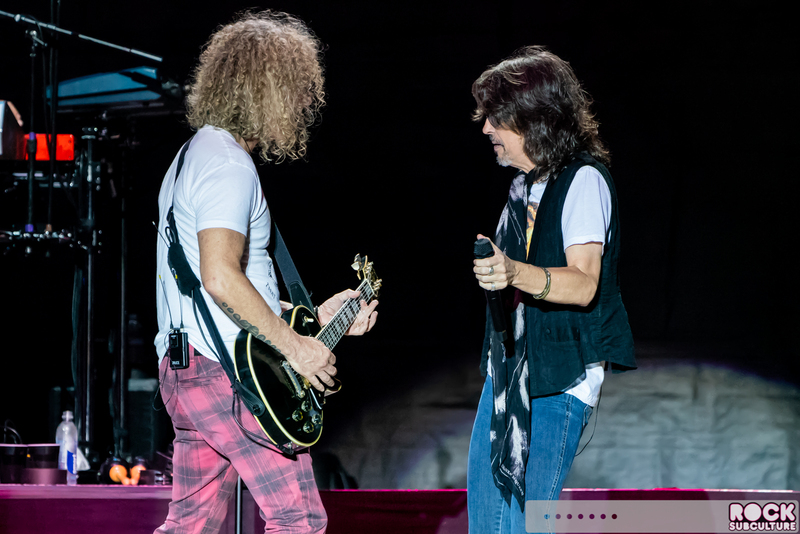 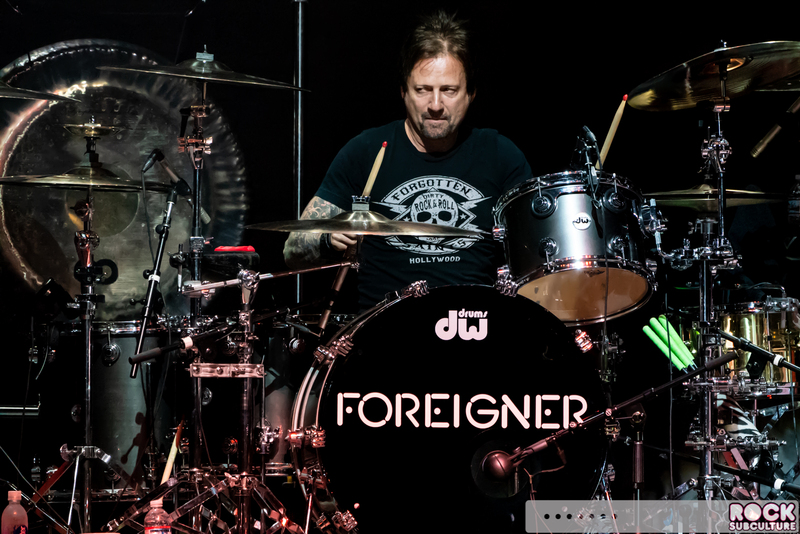 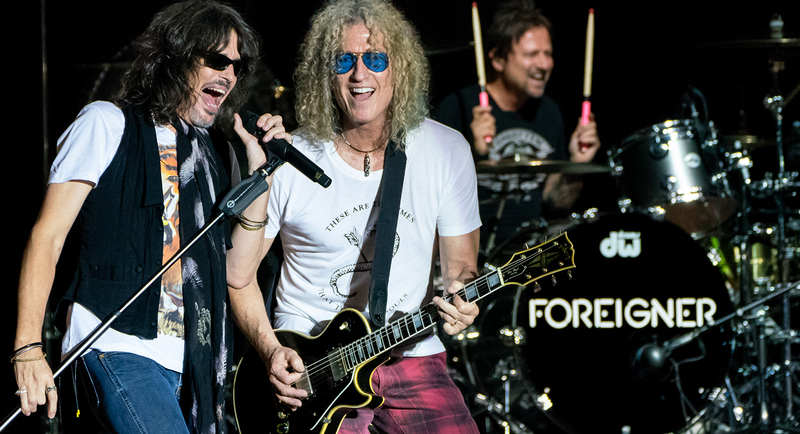 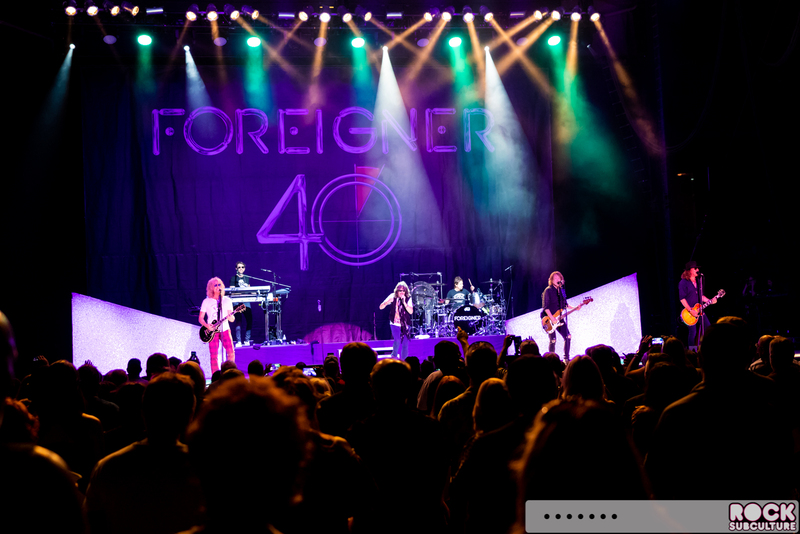 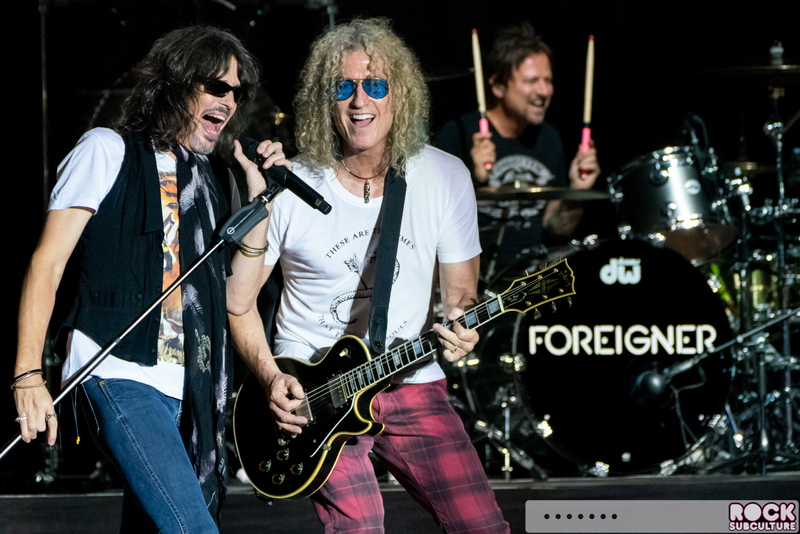 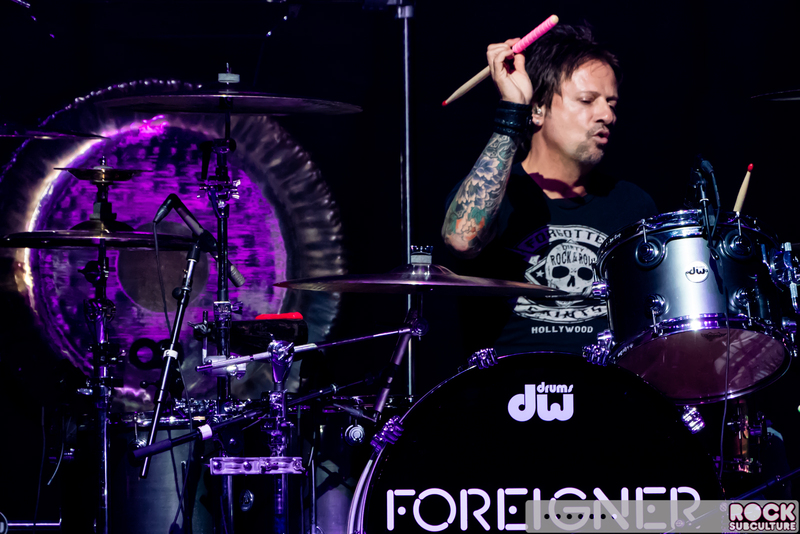 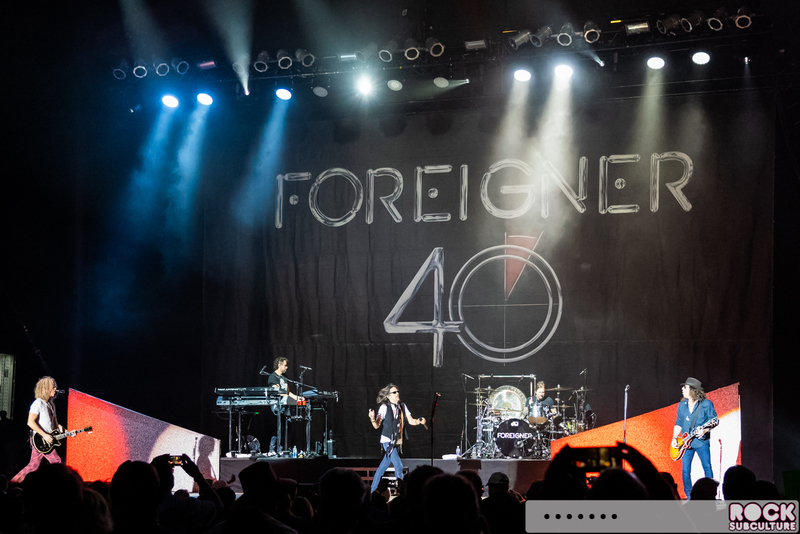 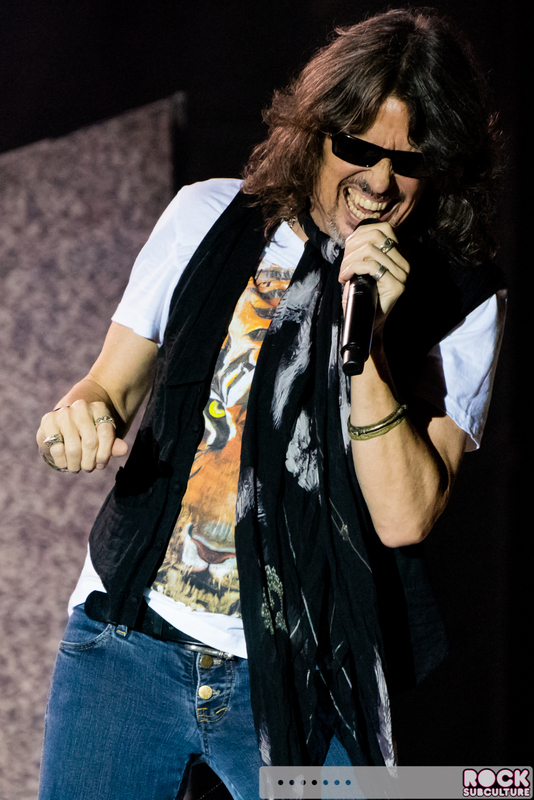 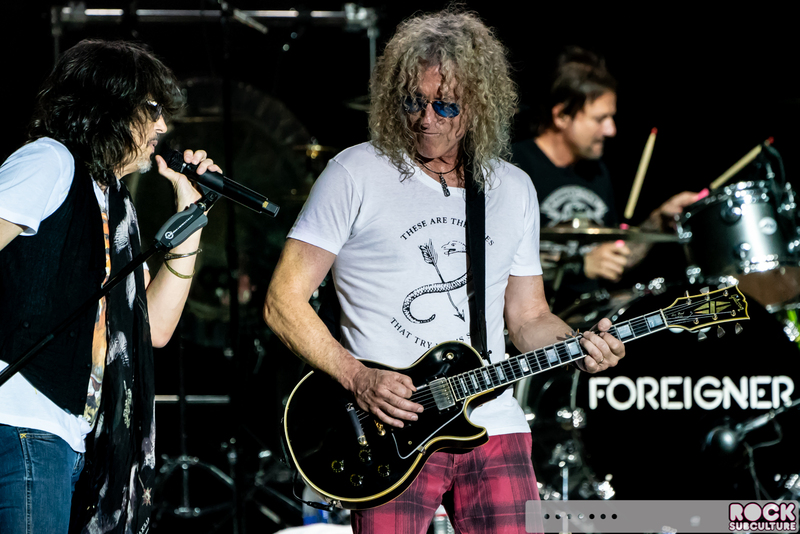 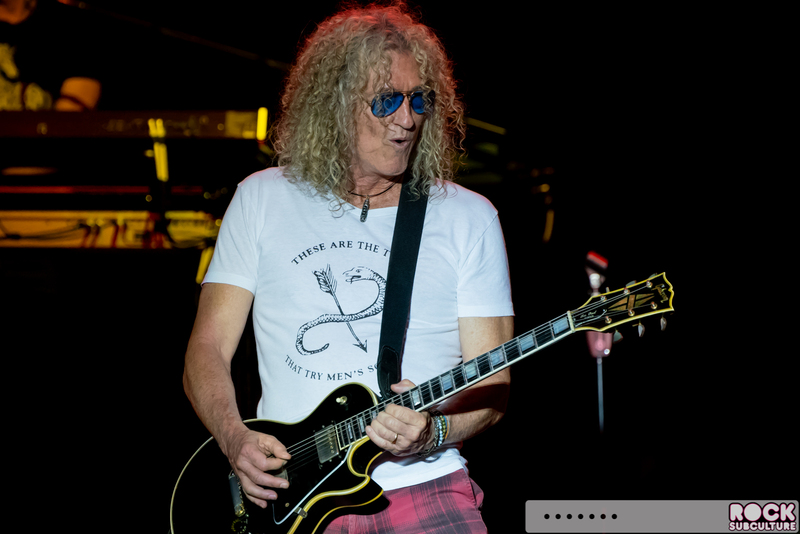 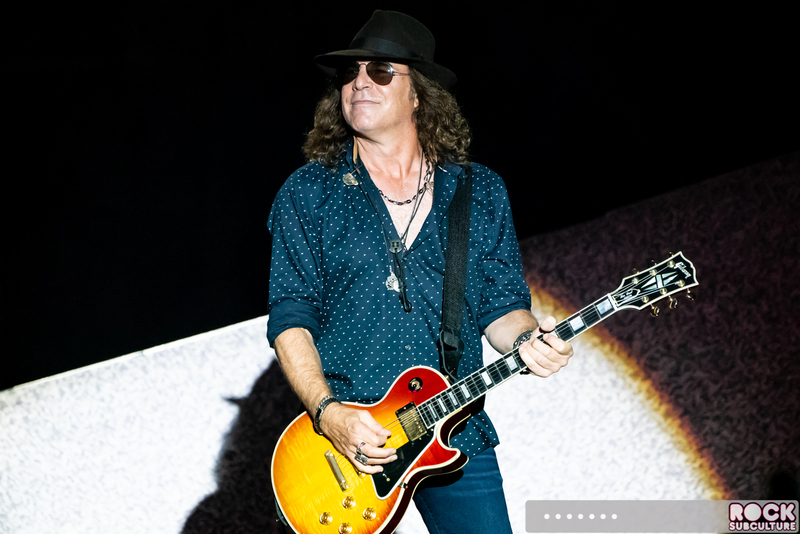 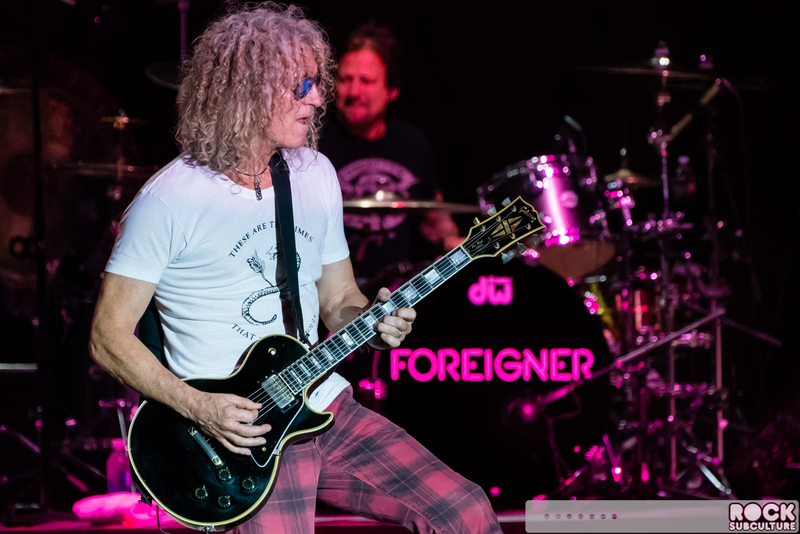 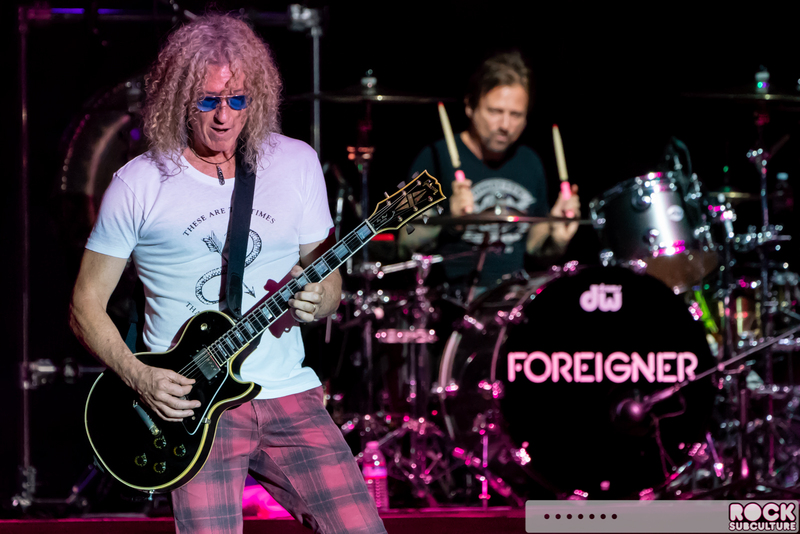 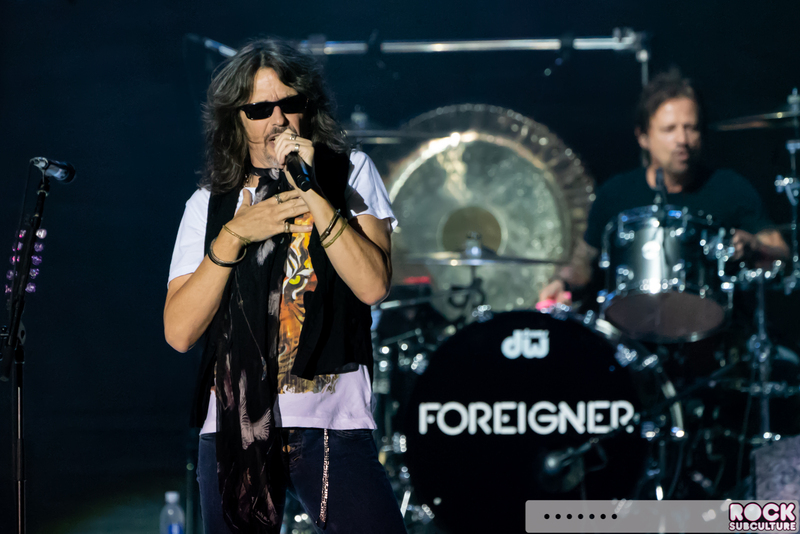 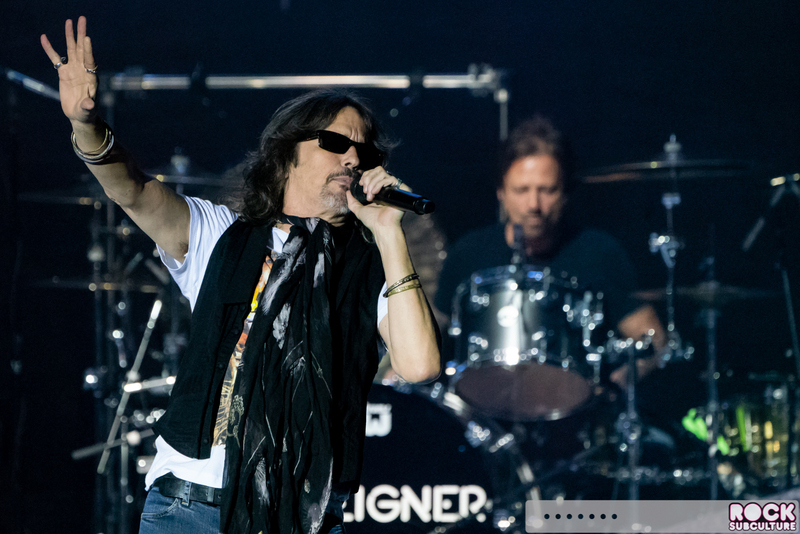 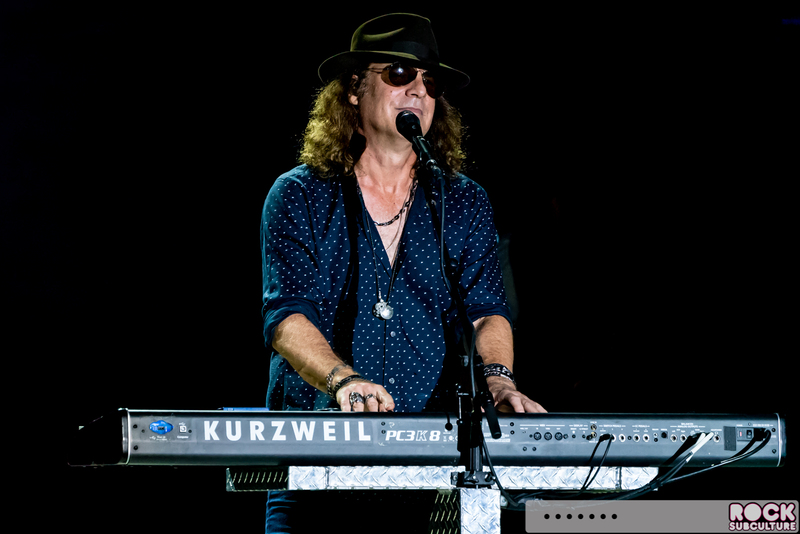 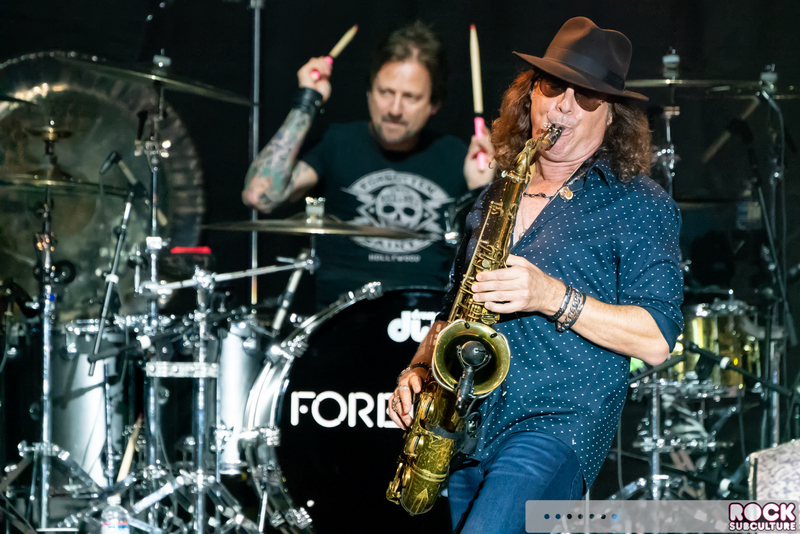 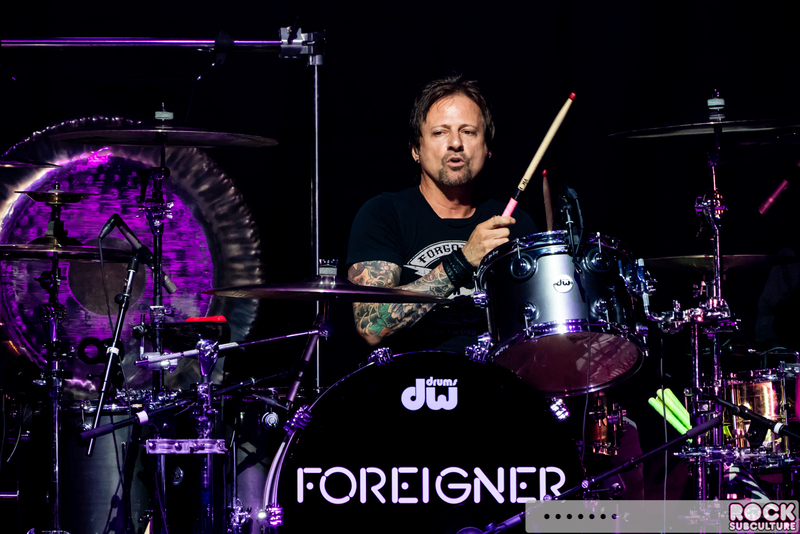 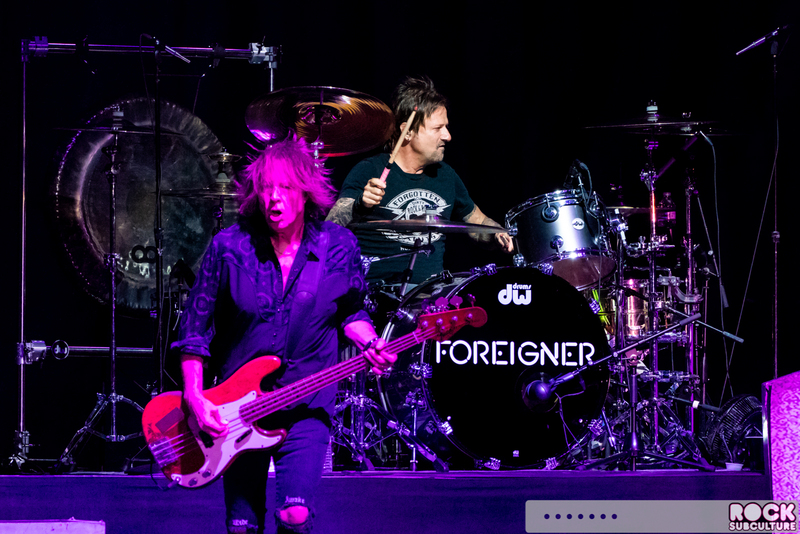 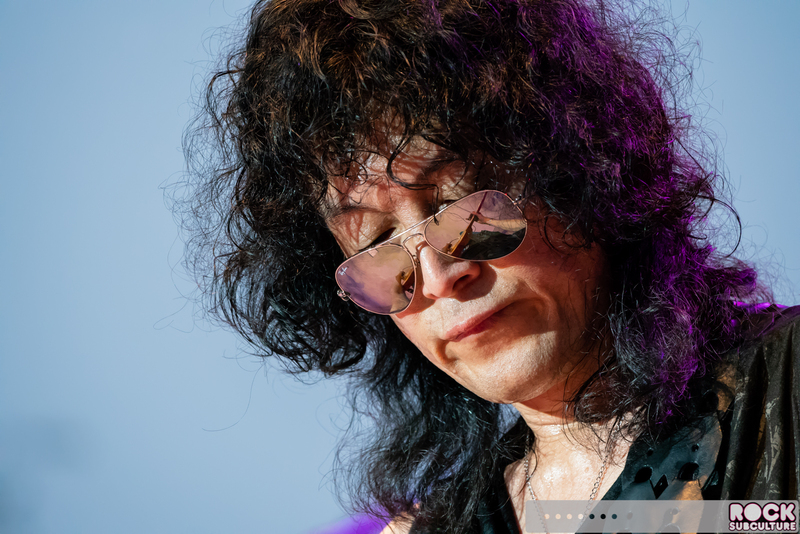 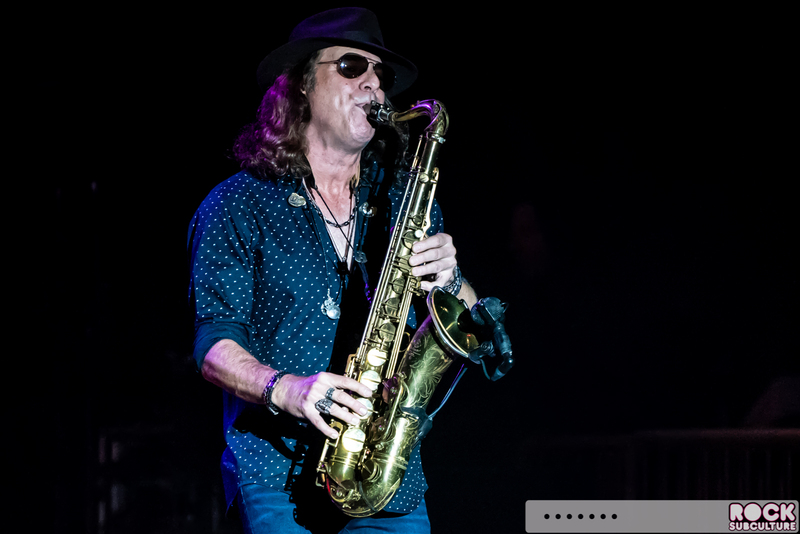 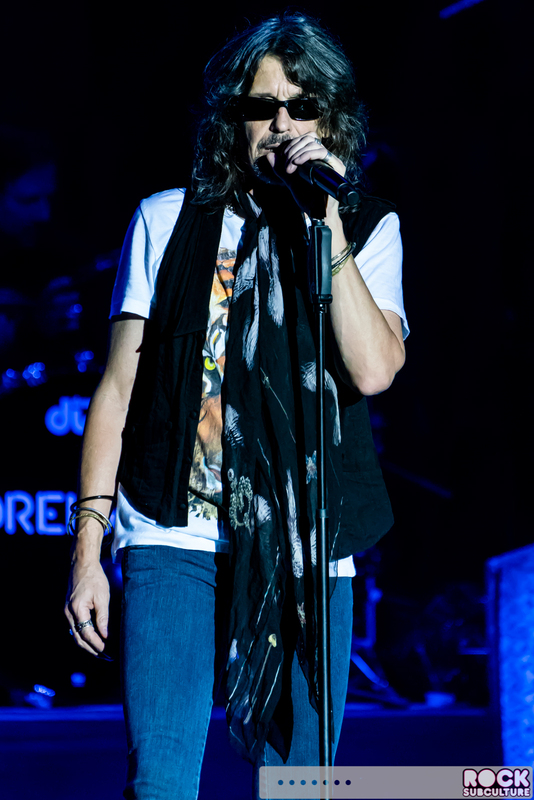 “Foreigner has just passed our 40th anniversary… Four zero… that’s a big deal!” Kelly Hansen at Ironstone Amphitheatre in Murphys on Sunday night, the third lead singer of Foreigner over the course of the past four decades. 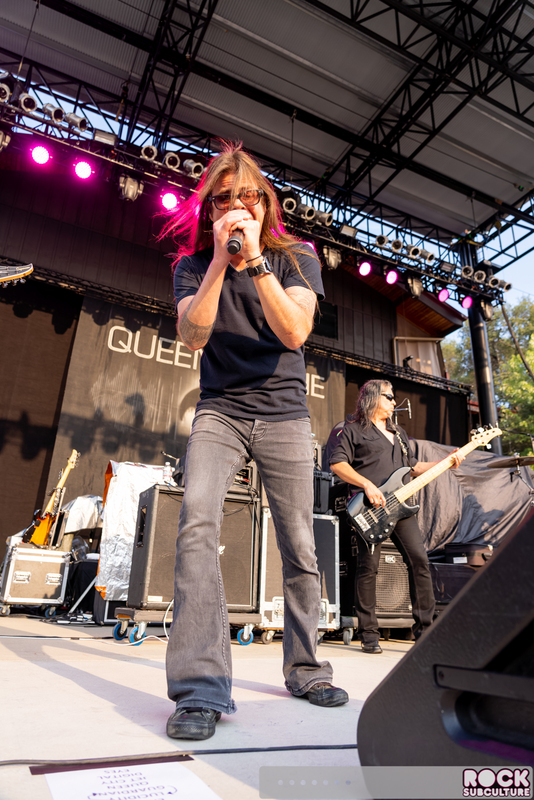 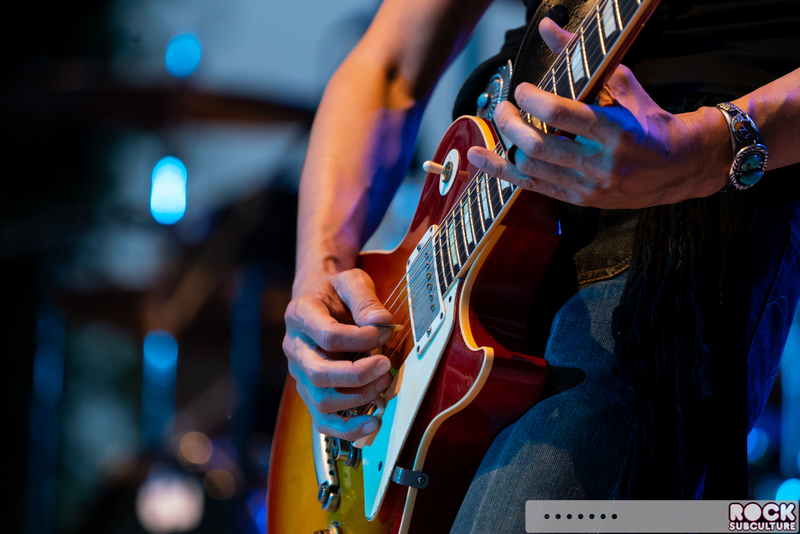 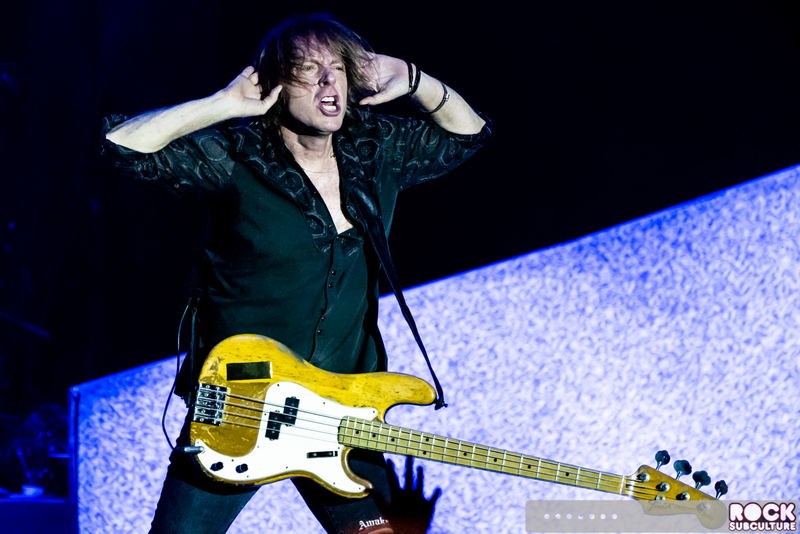 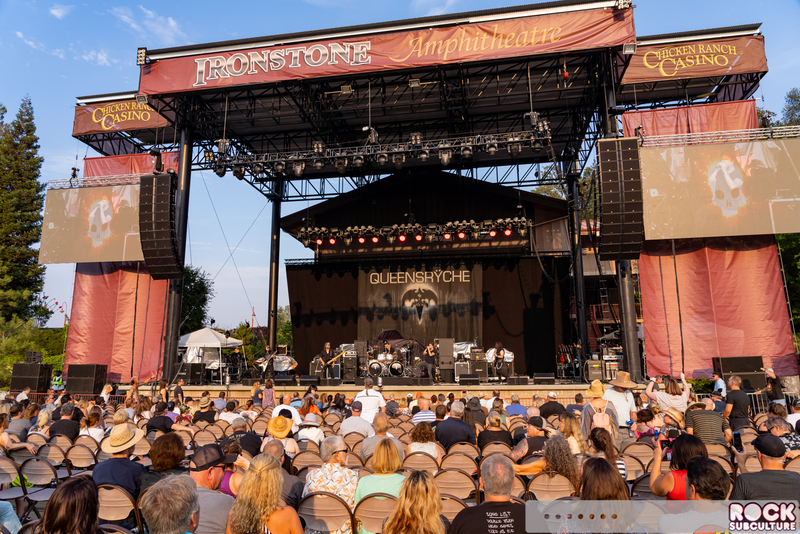 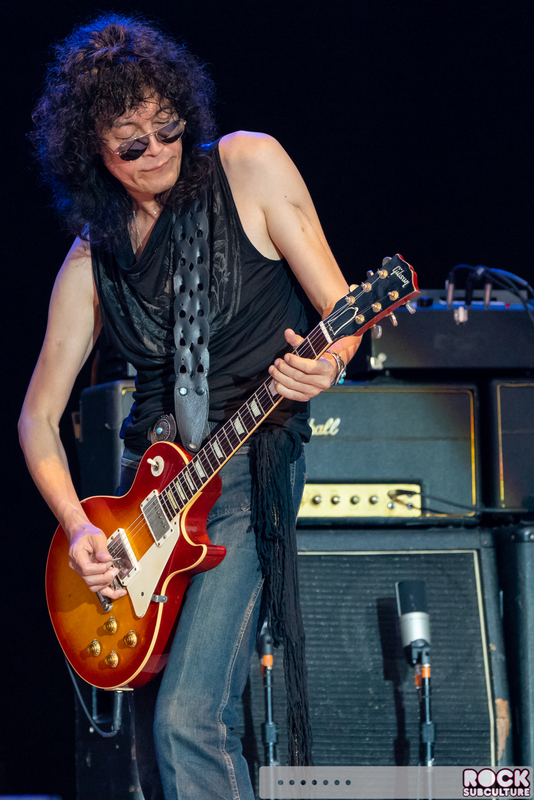 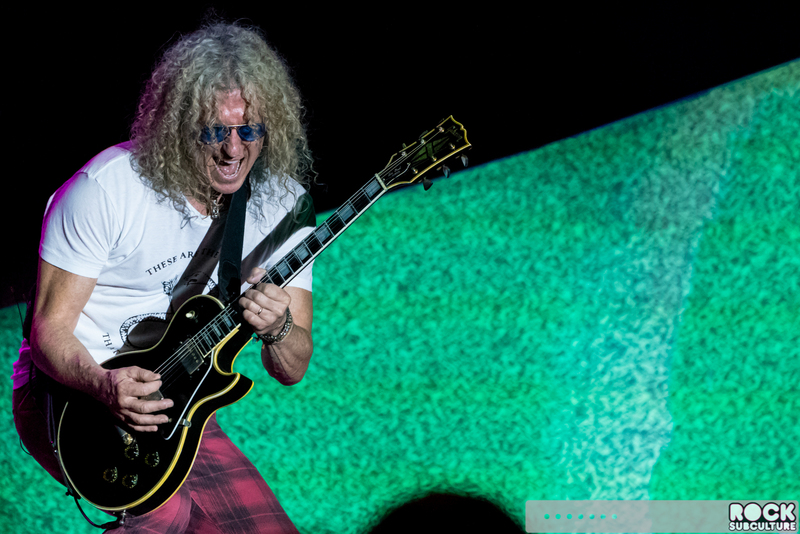 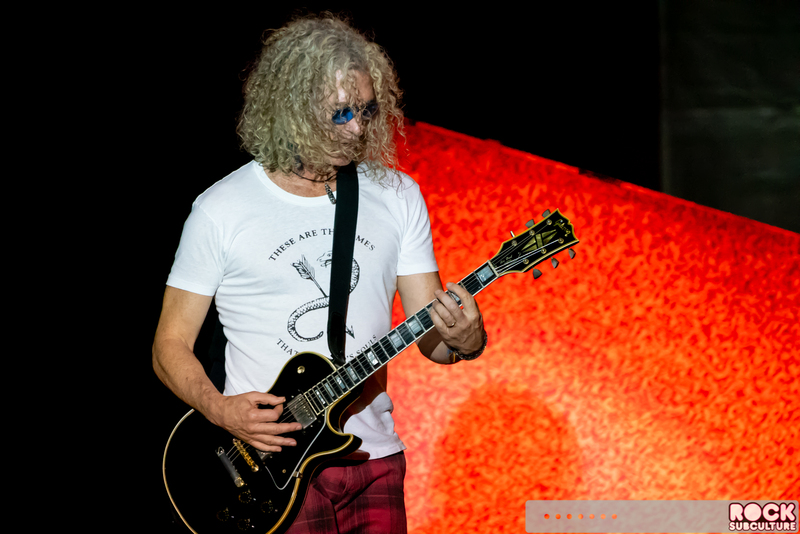 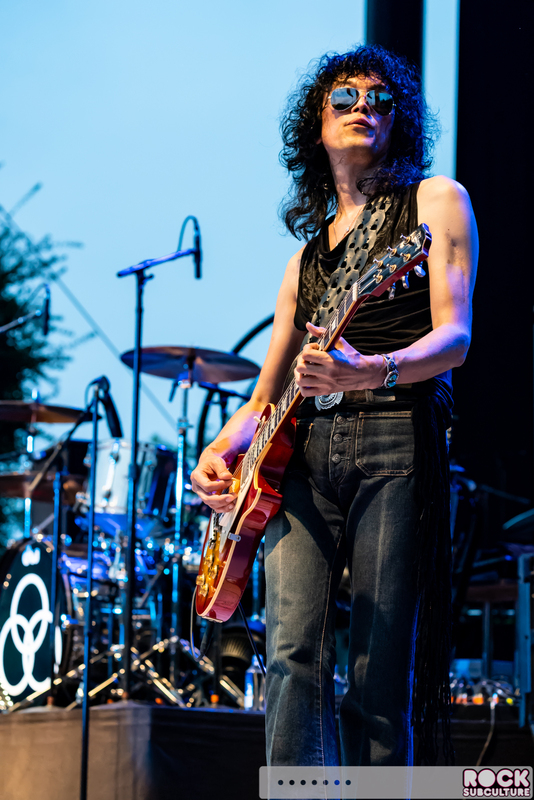 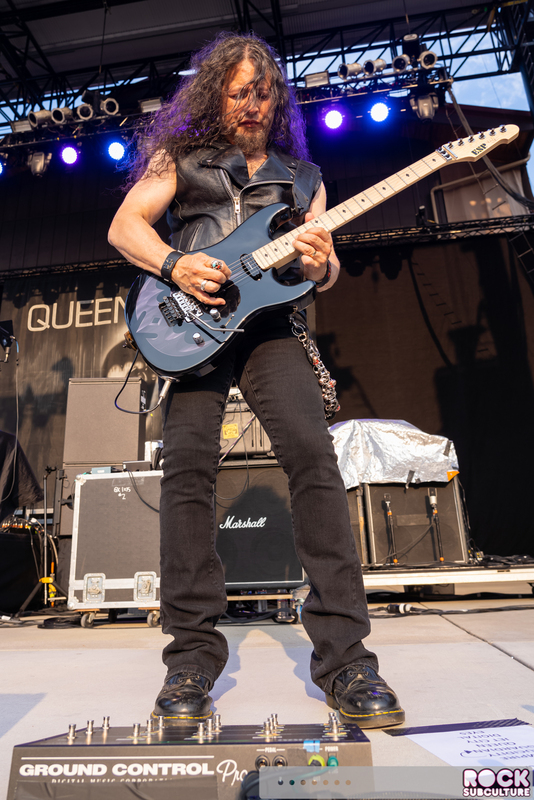 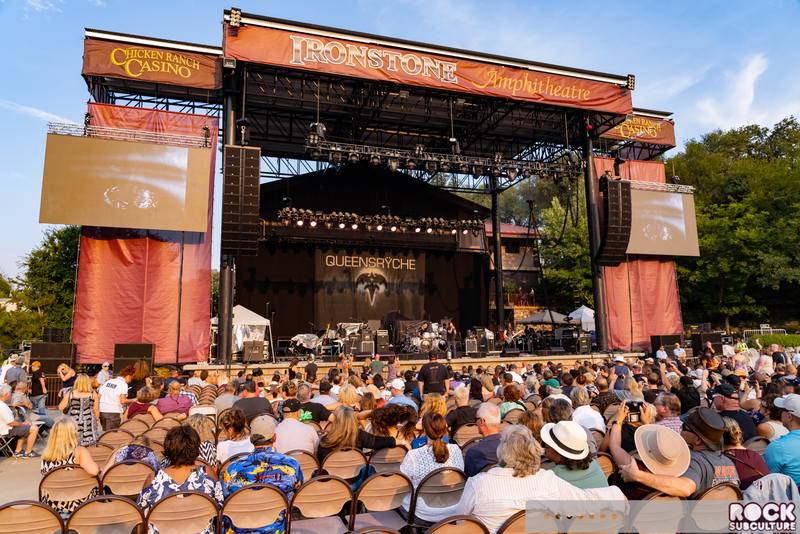 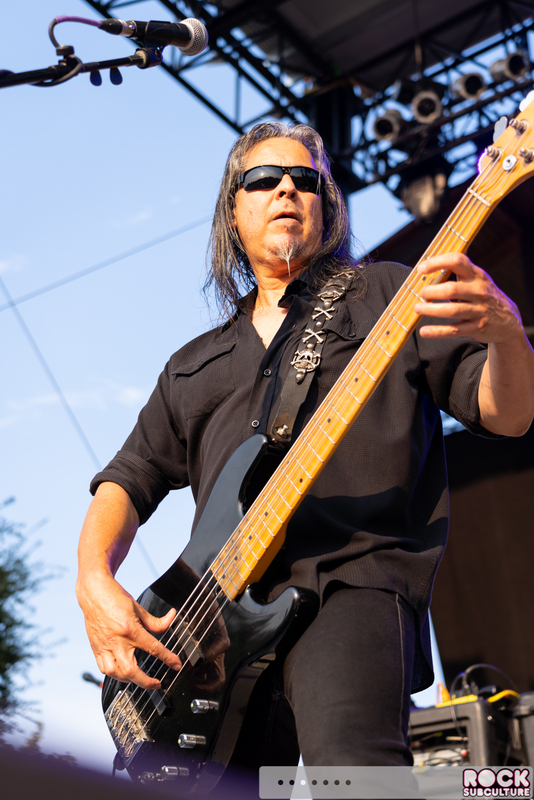 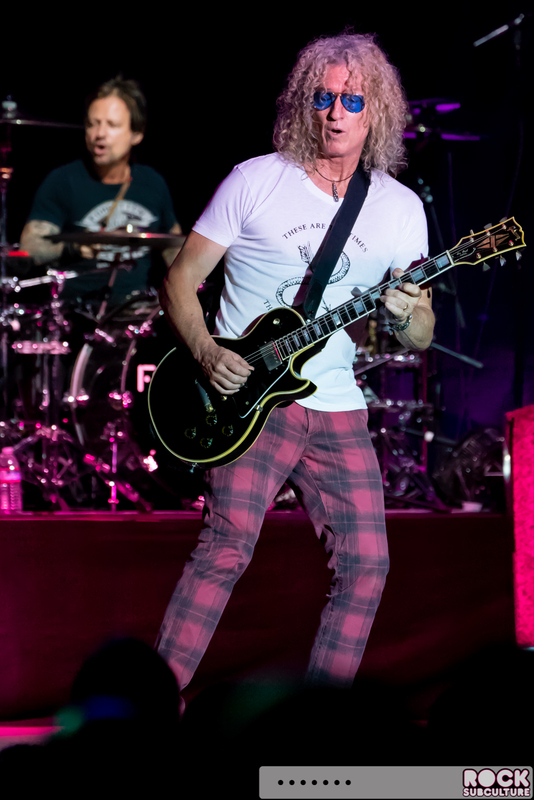 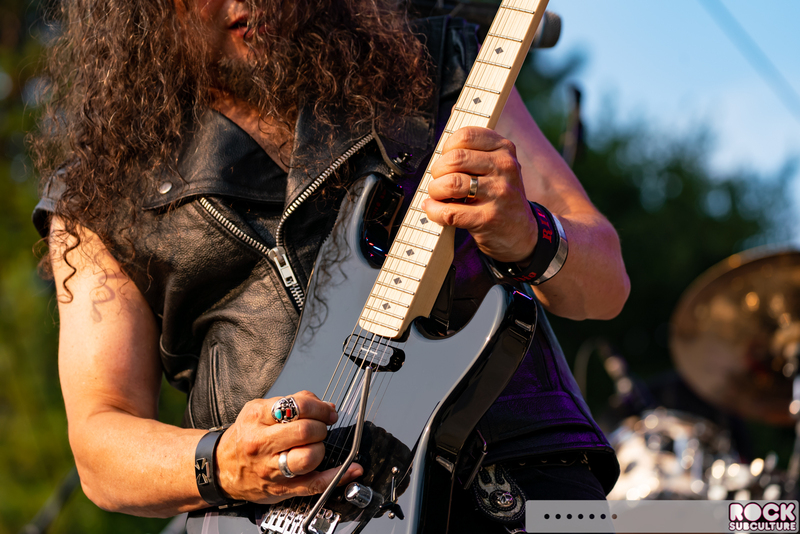 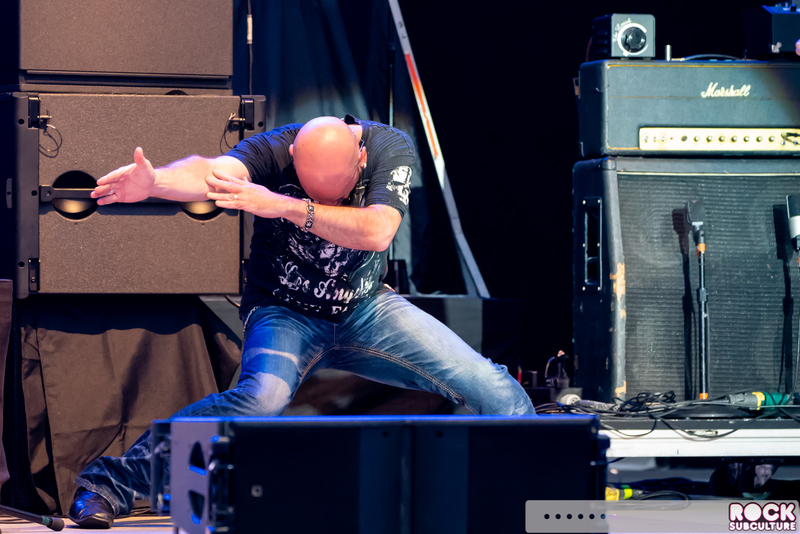 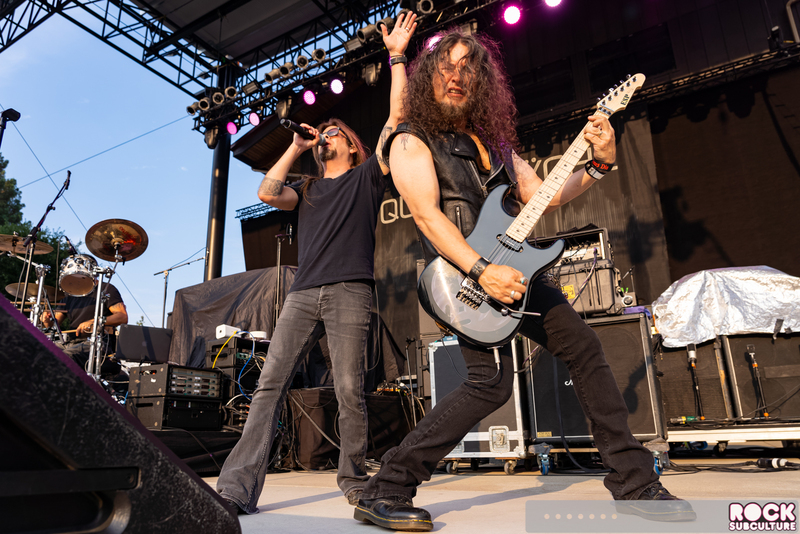 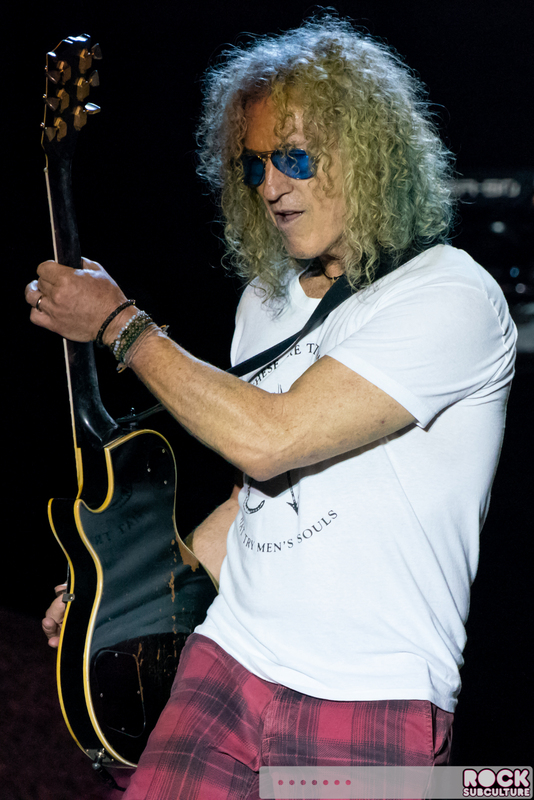 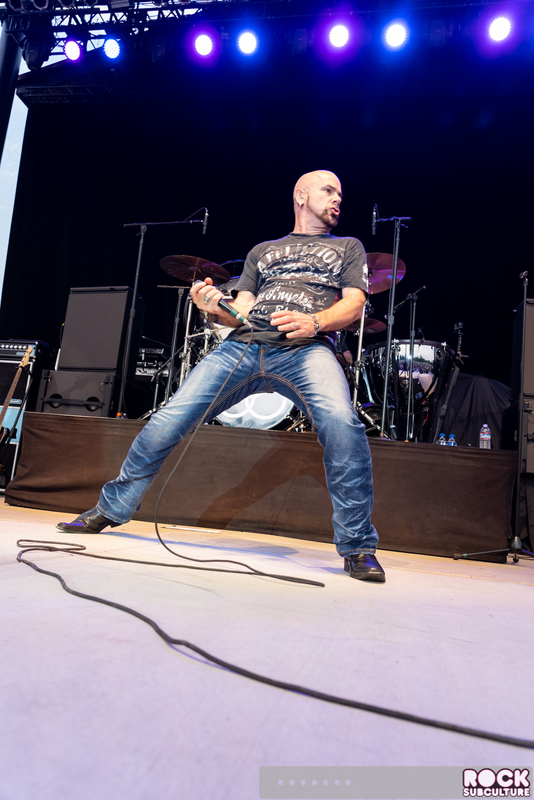 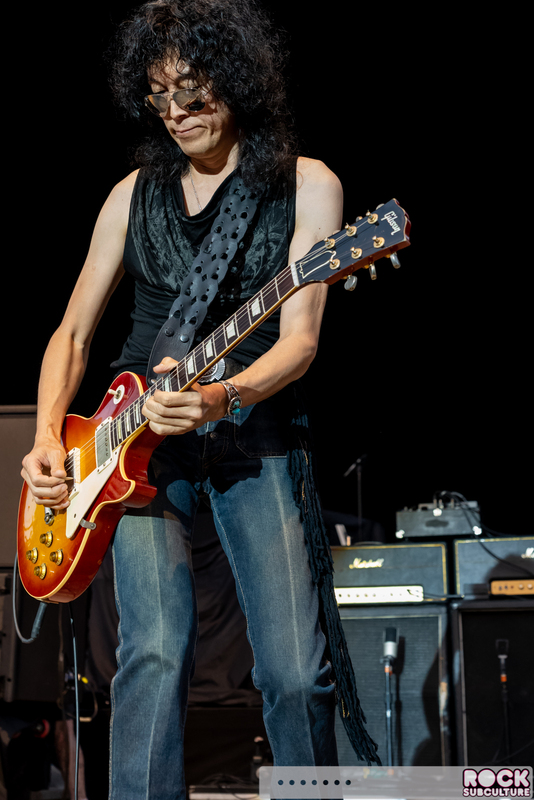 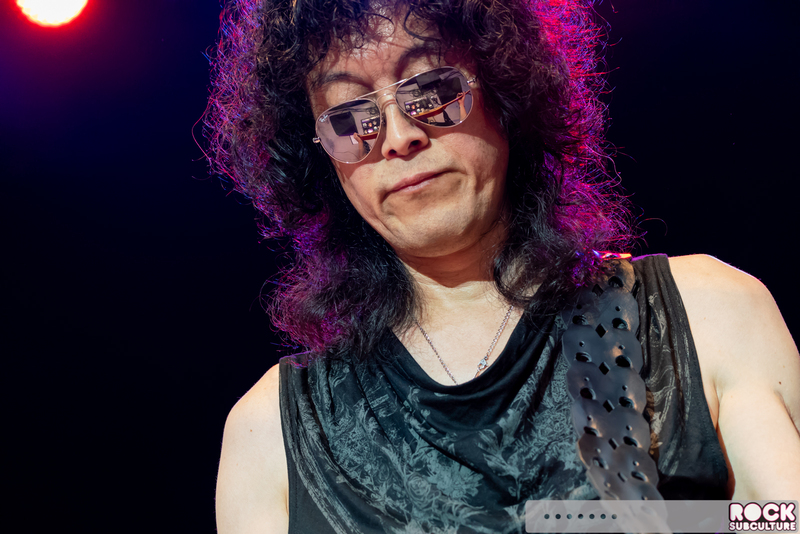 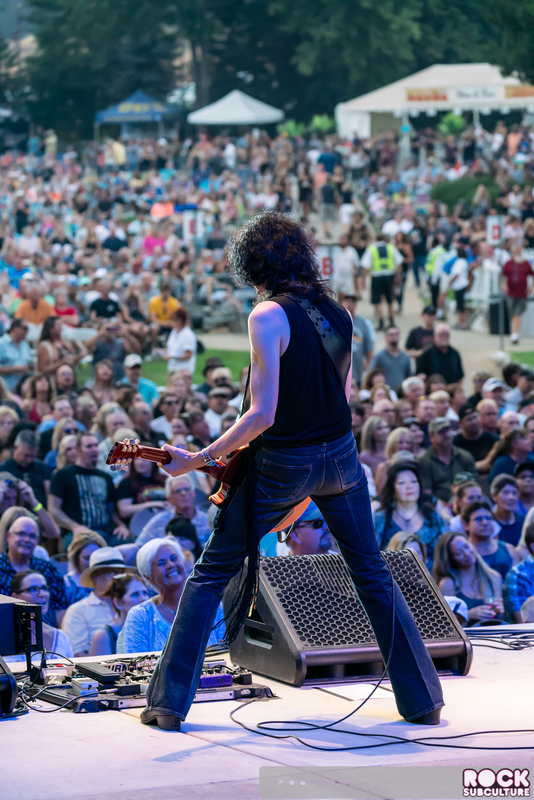 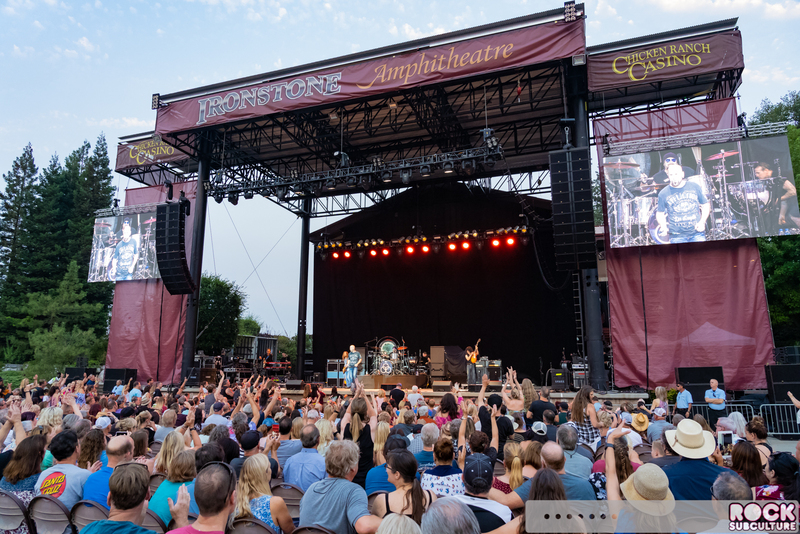 The evening served as a celebration of a wide variety of music and genres, with performances by Foreigner, Jason Bonham’s Led Zeppelin Evening, and Queensrÿche. 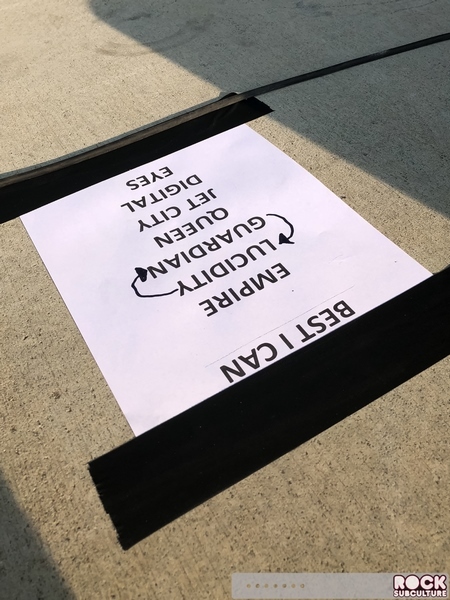 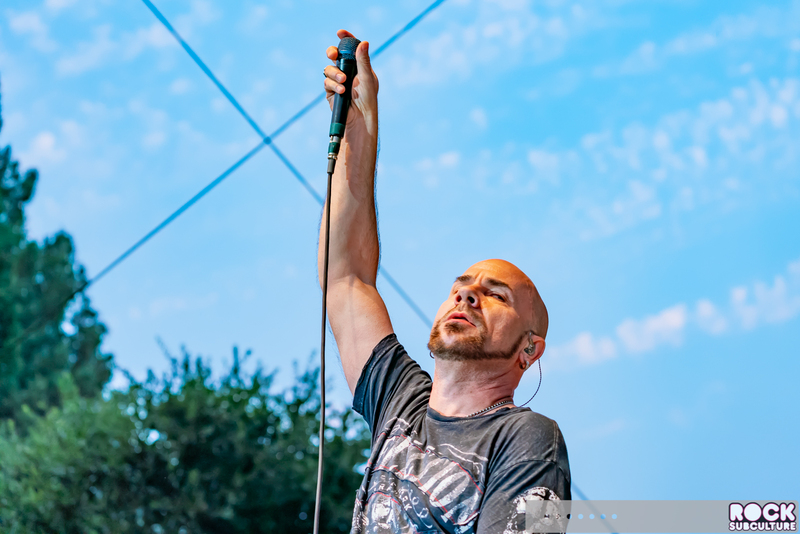 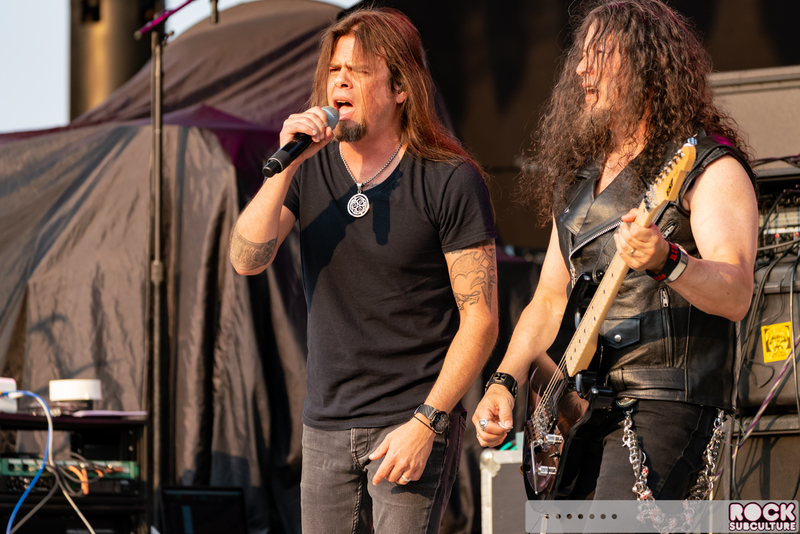 The show Sunday night was the sixth so far for Richter Entertainment Group’s Summer Concert Season at Ironstone Amphitheatre in Murphys. 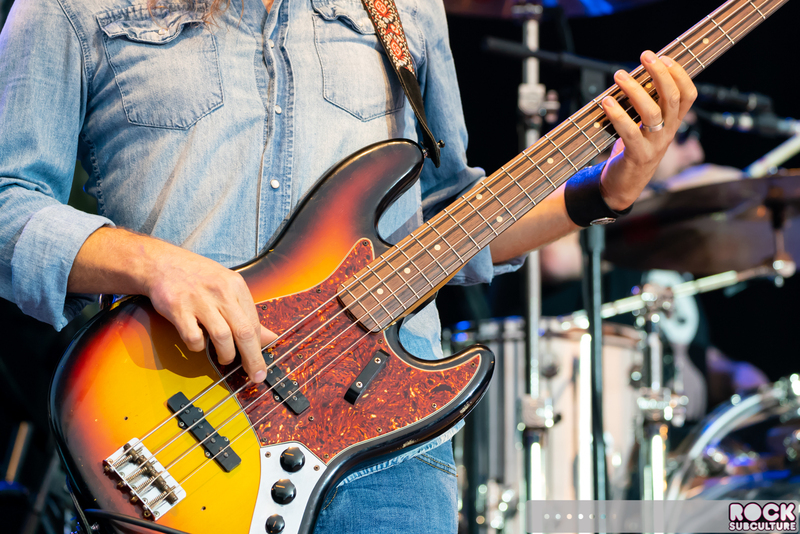 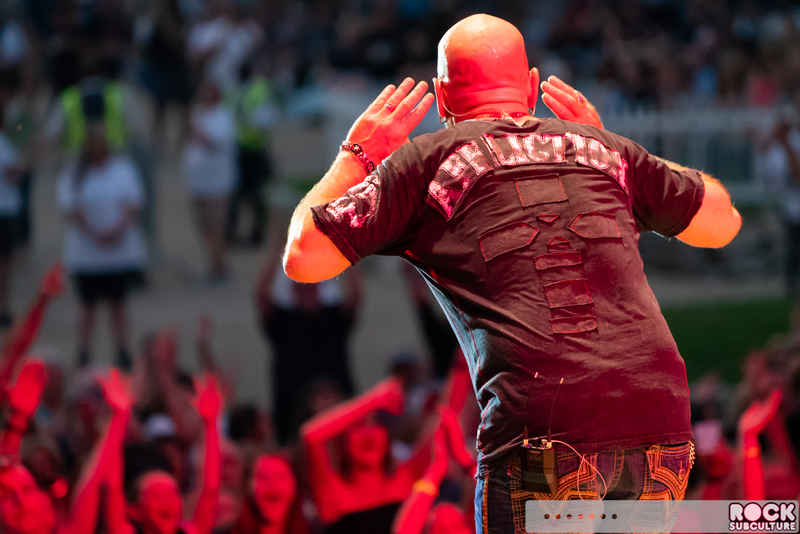 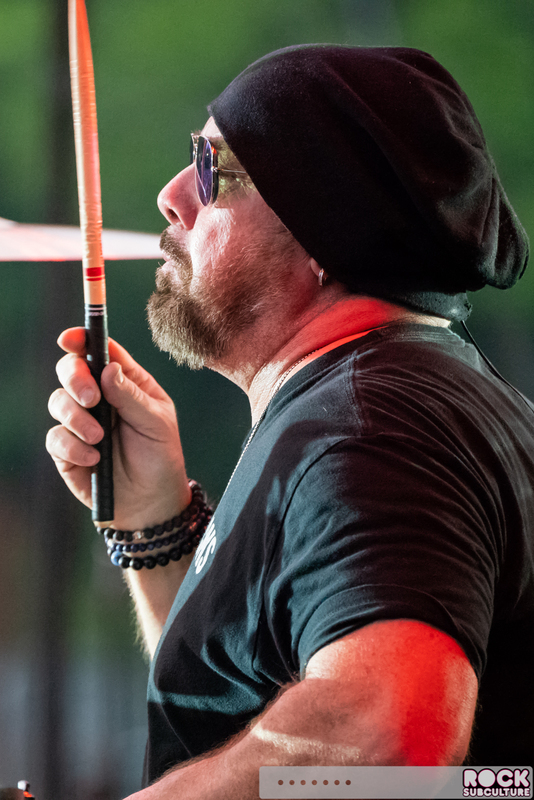 Artists featured in 2018 include Toby Keith, Little Big Town, The Isley Brothers, The Commodores, The Family Stone, Willie Nelson, Alison Krauss, Counting Crows, Live, Creedence Clearwater Revisited, America, Stone Temple Pilots, The Cult, Bush, Culture Club, The B-52s, Tom Bailey from Thompson Twins, and more! 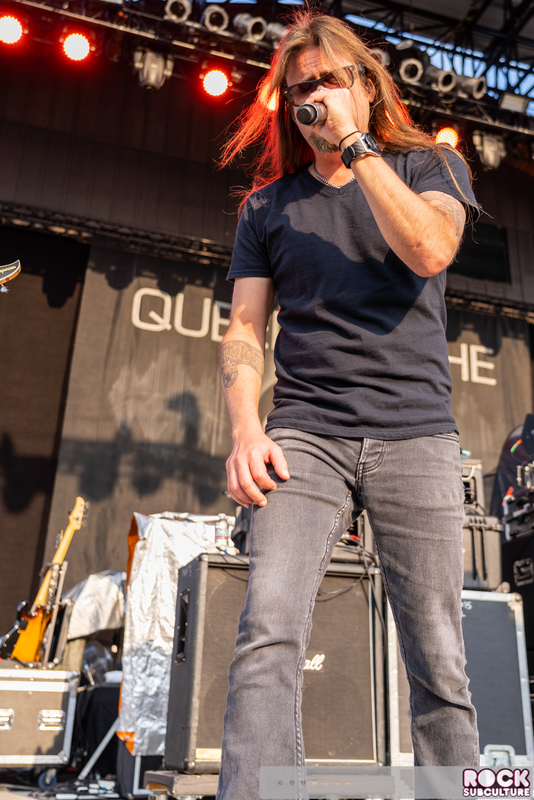 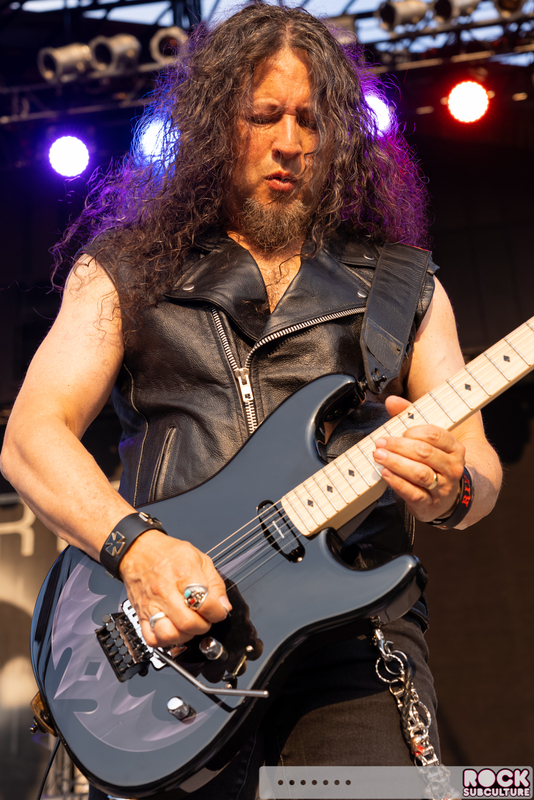 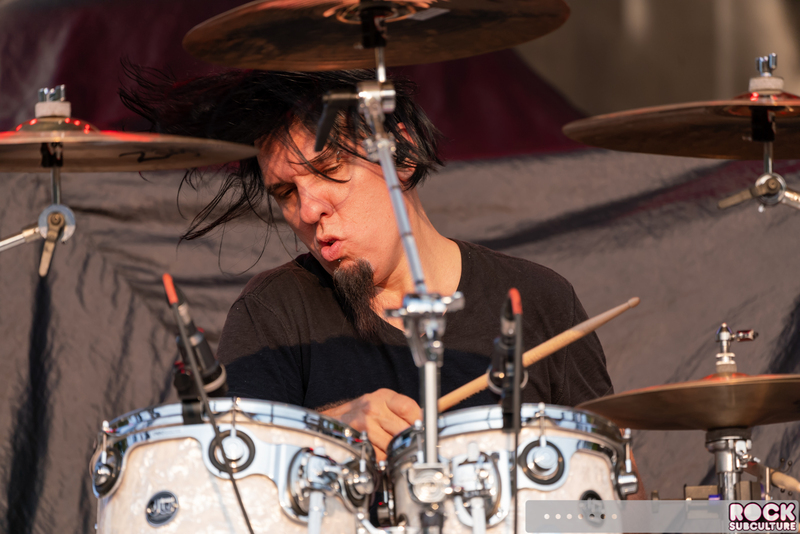 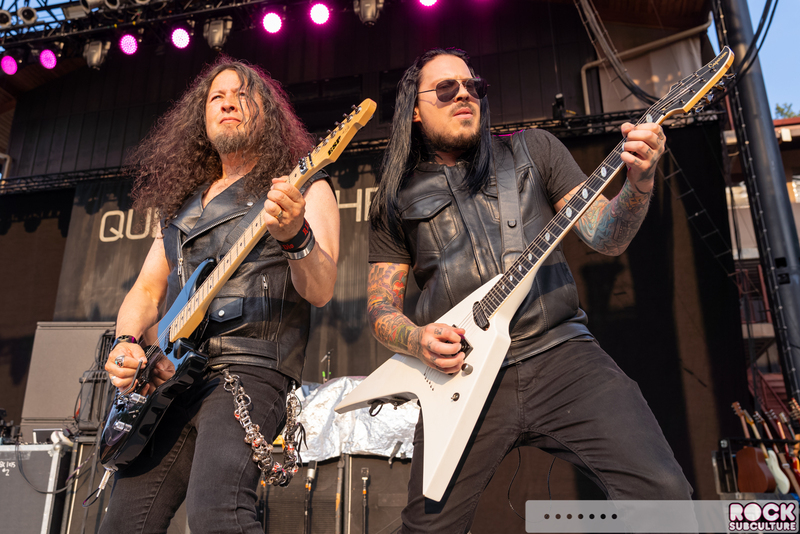 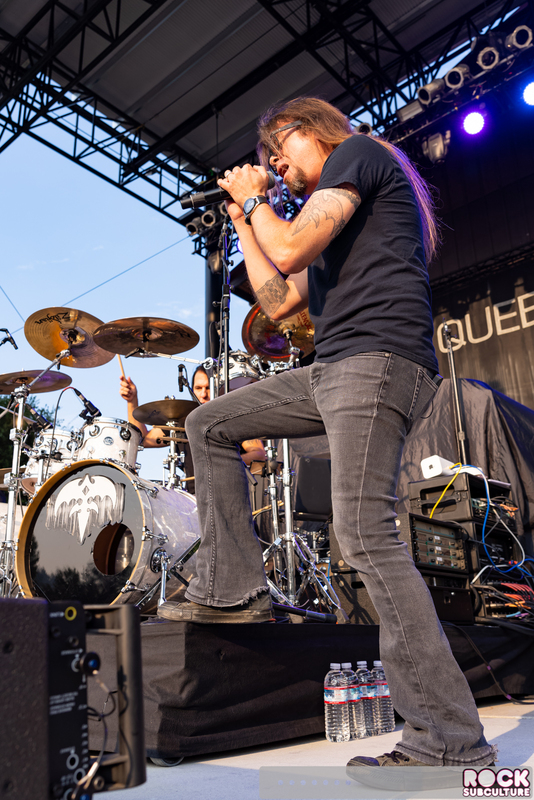 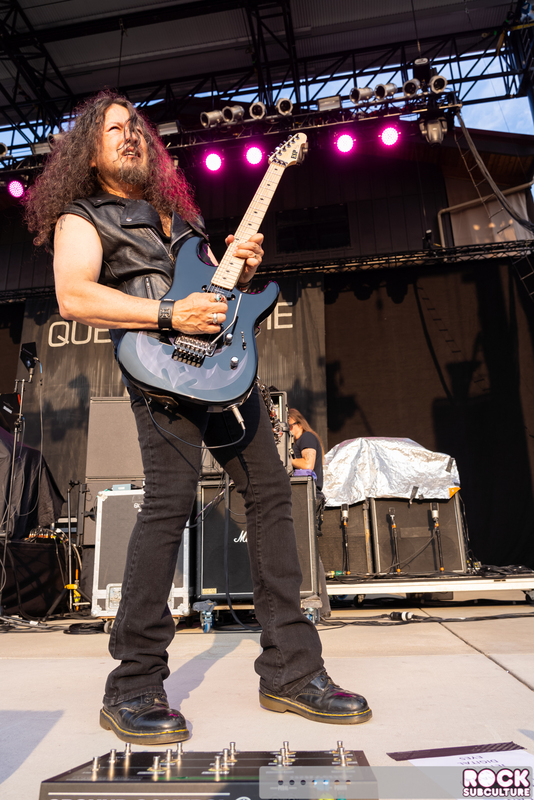 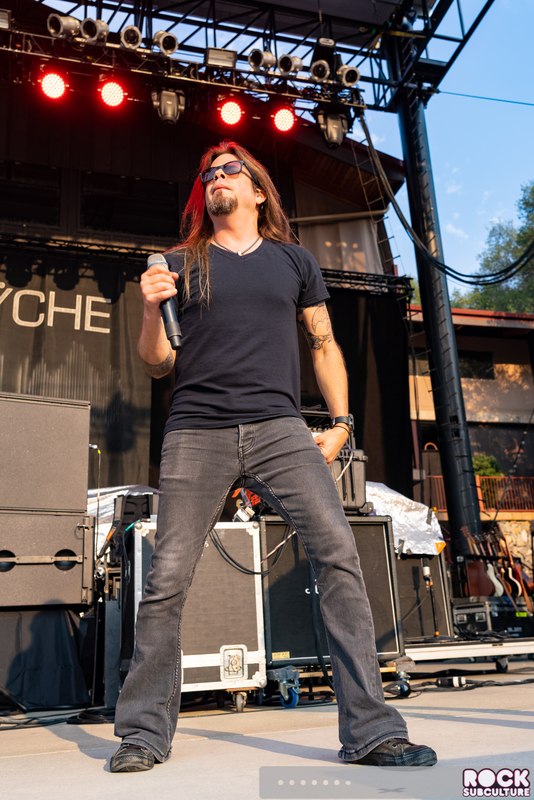 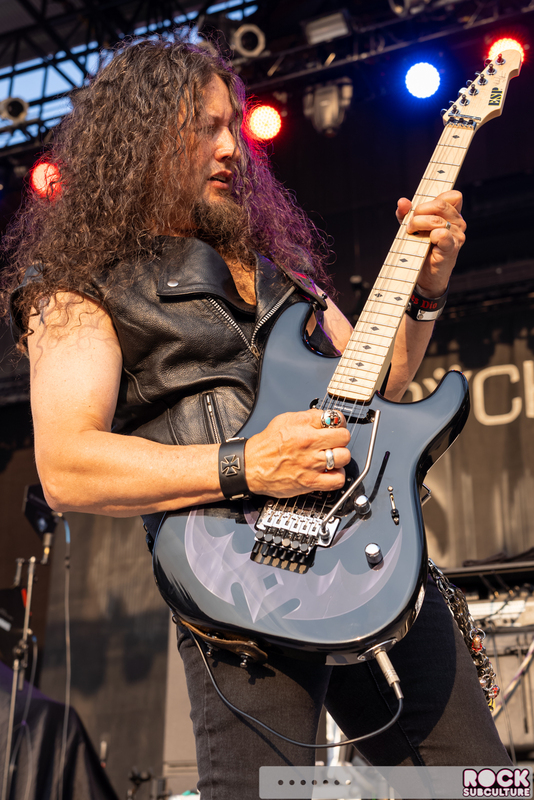 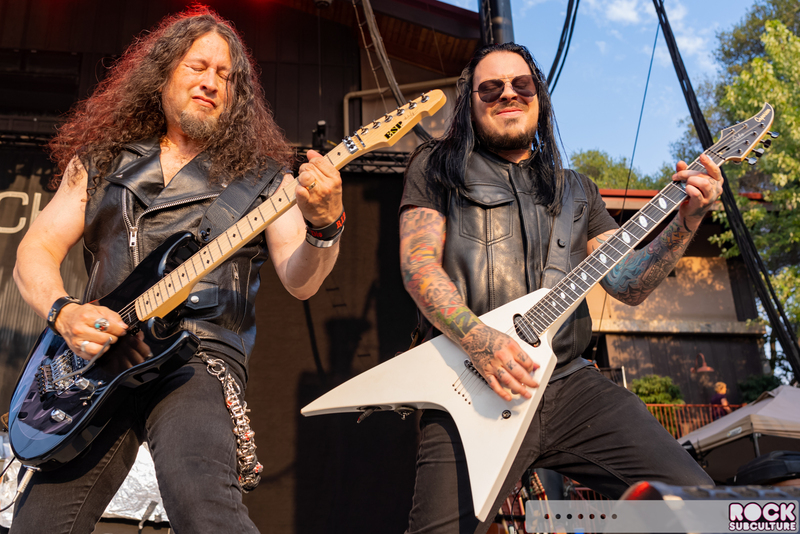 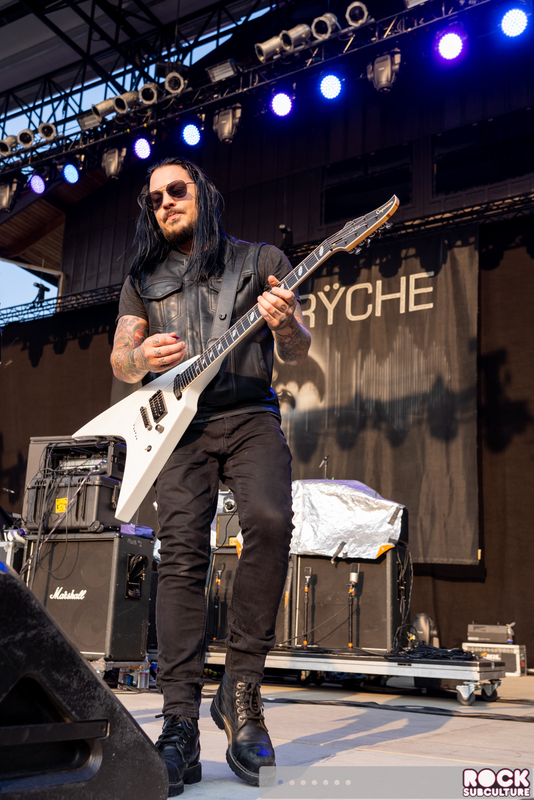 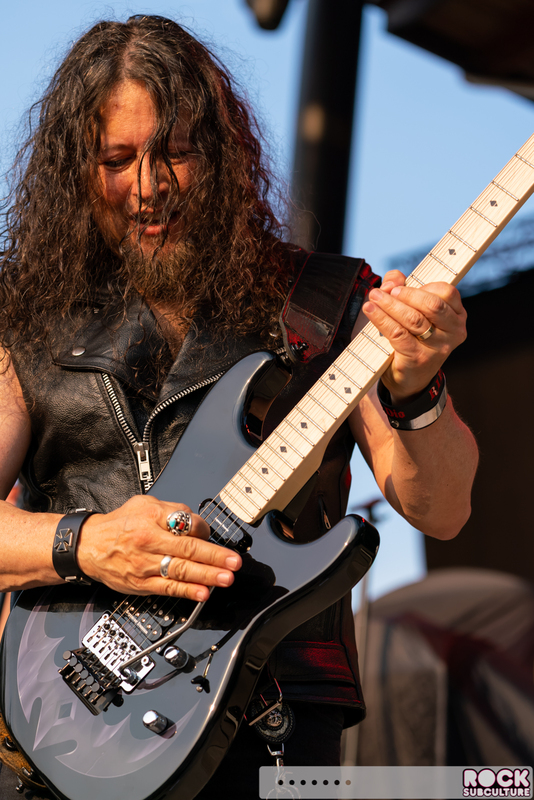 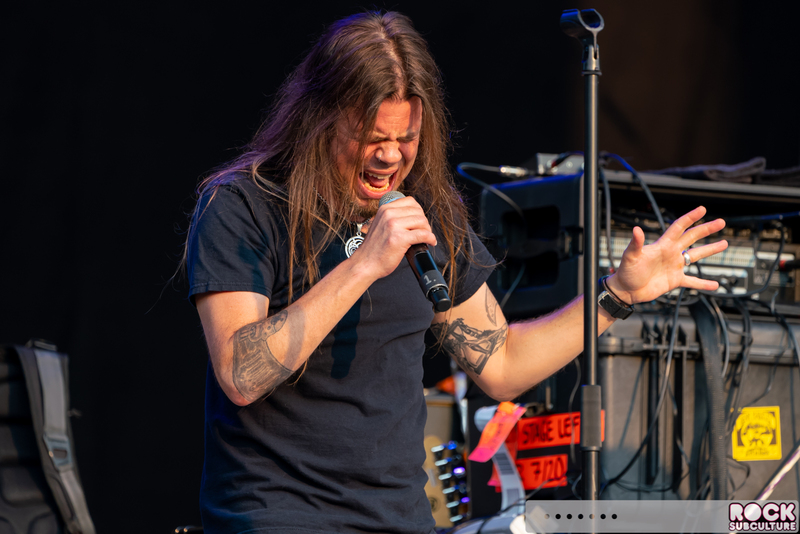 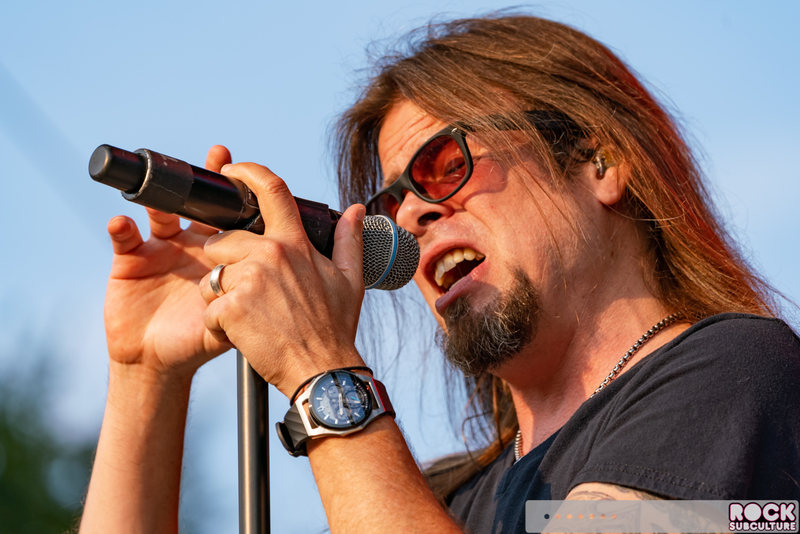 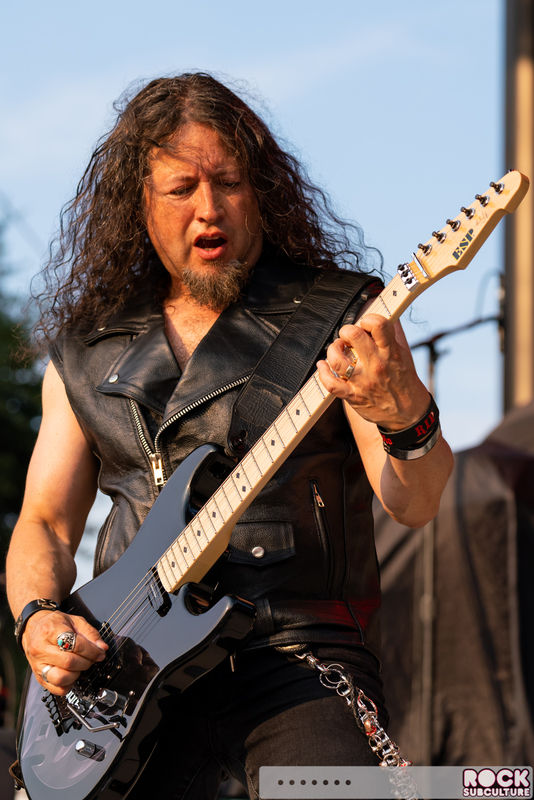 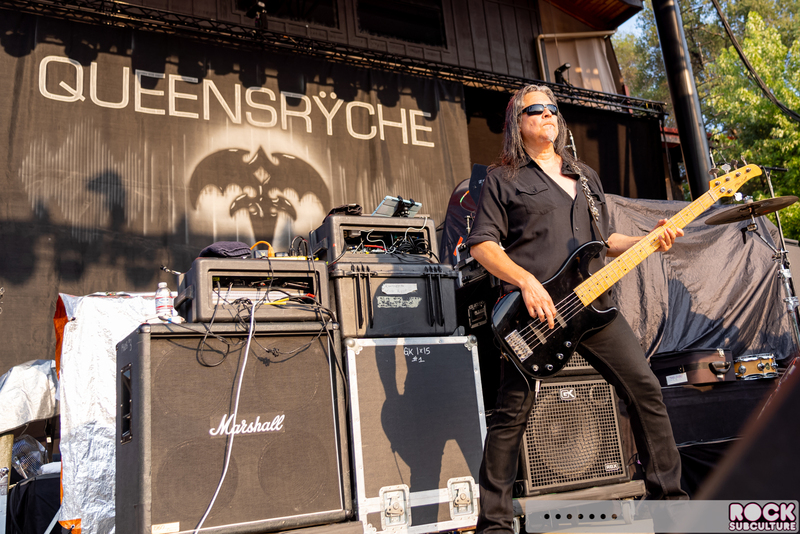 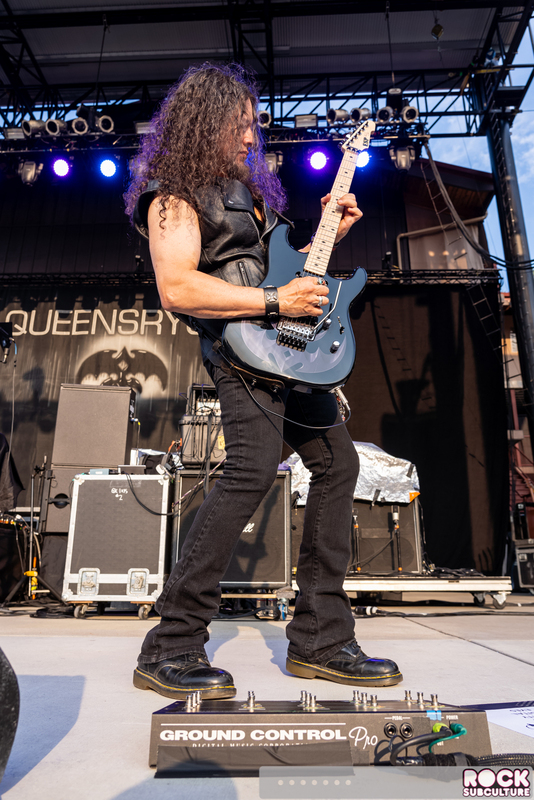 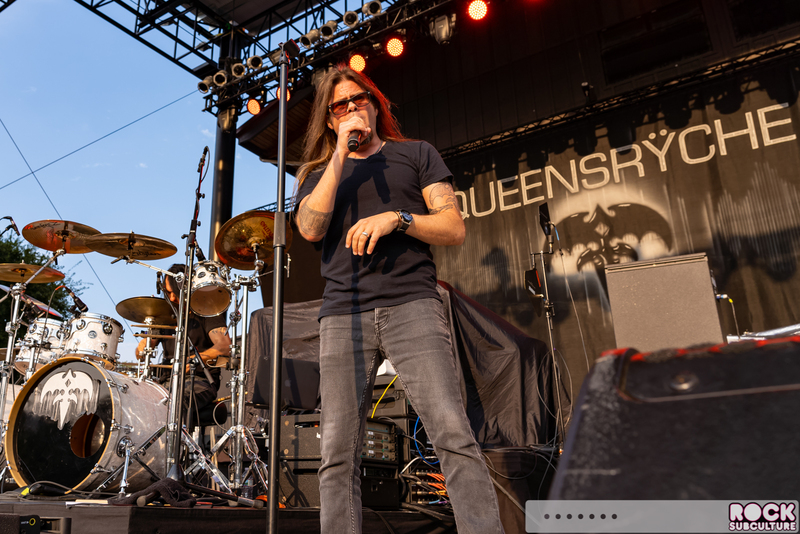 Queensrÿche is a heavy metal band that was founded in Bellevue, Washington in the early ’80s. 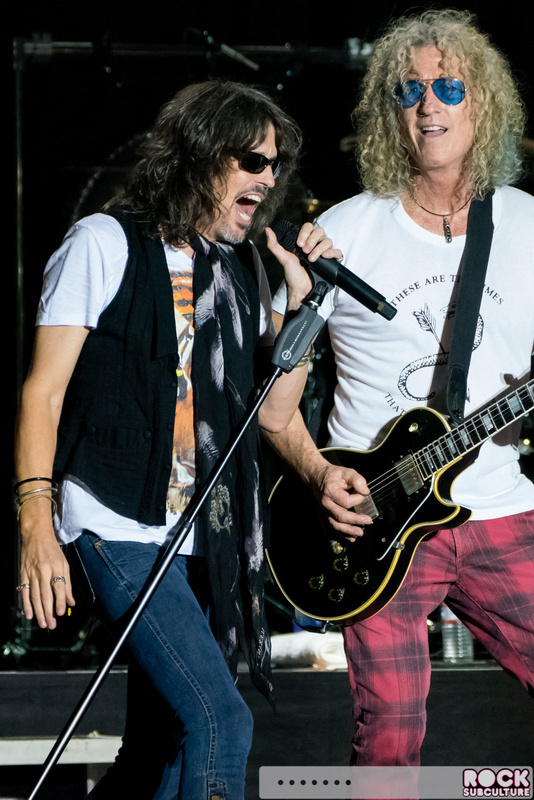 They’ve published 15 studio albums and sold over 30 million albums and received a number of Grammy Award nominations. 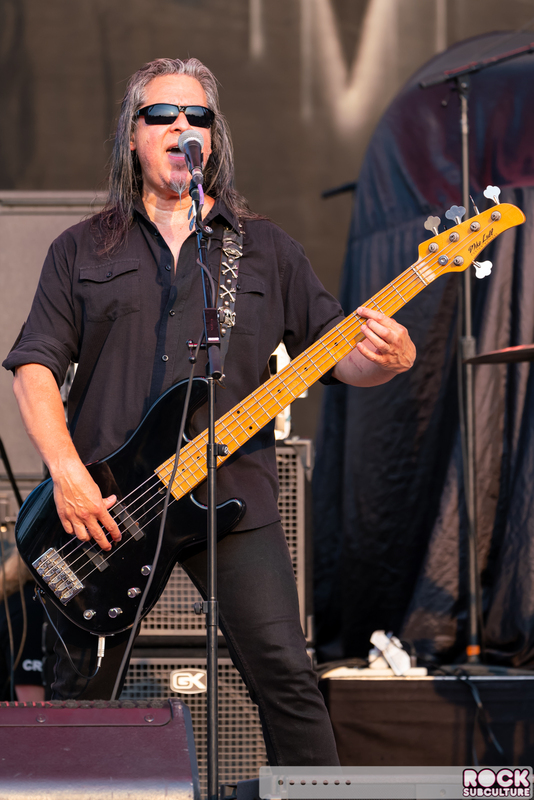 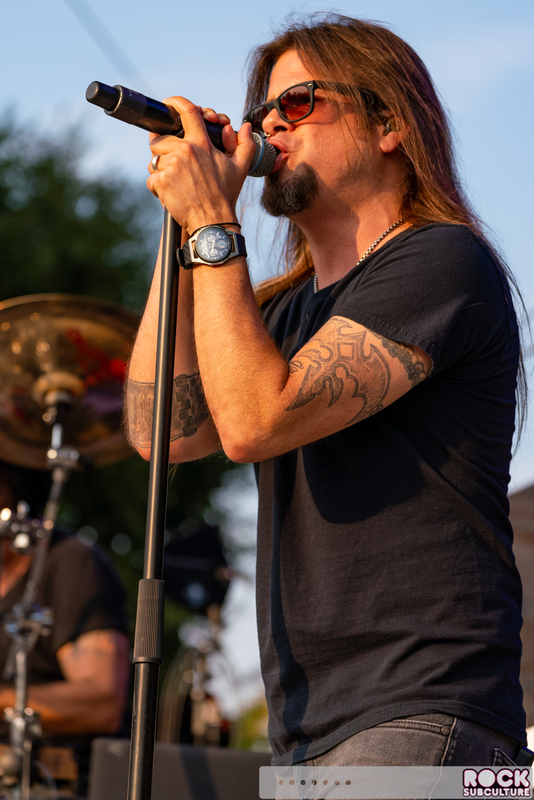 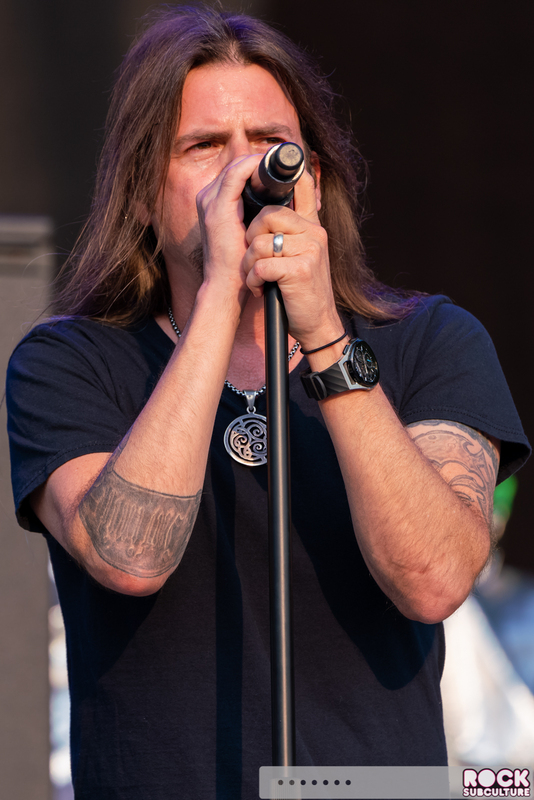 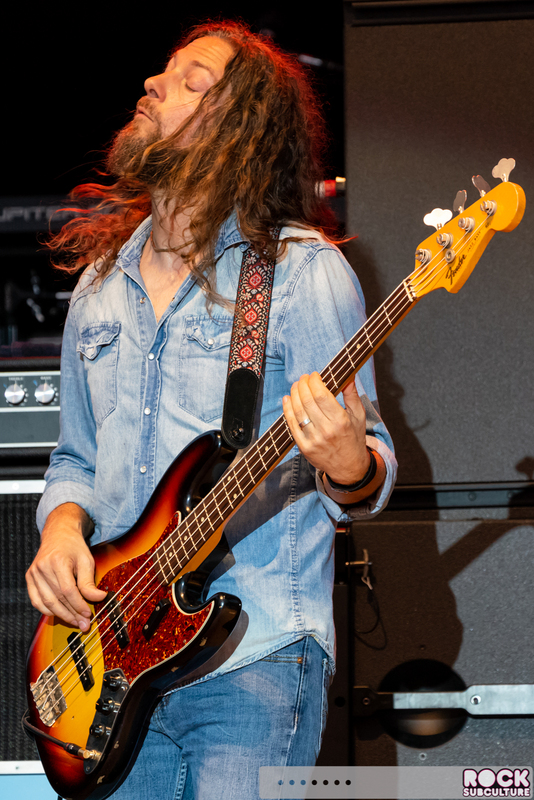 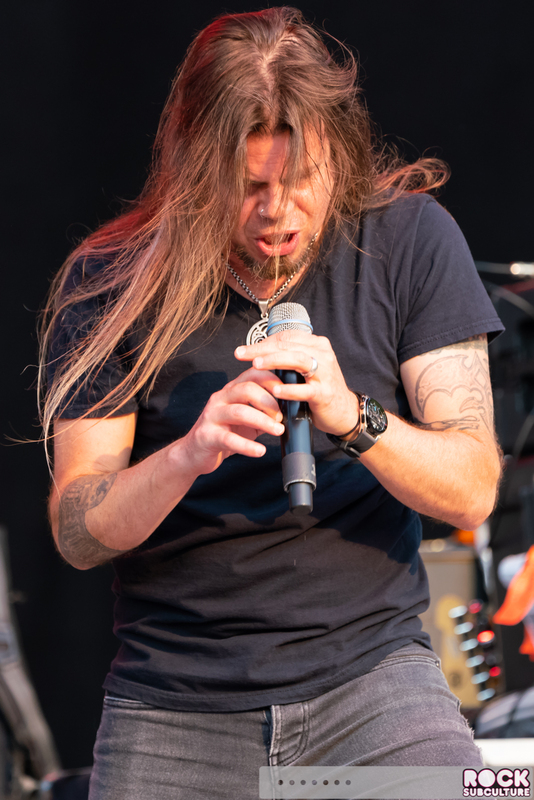 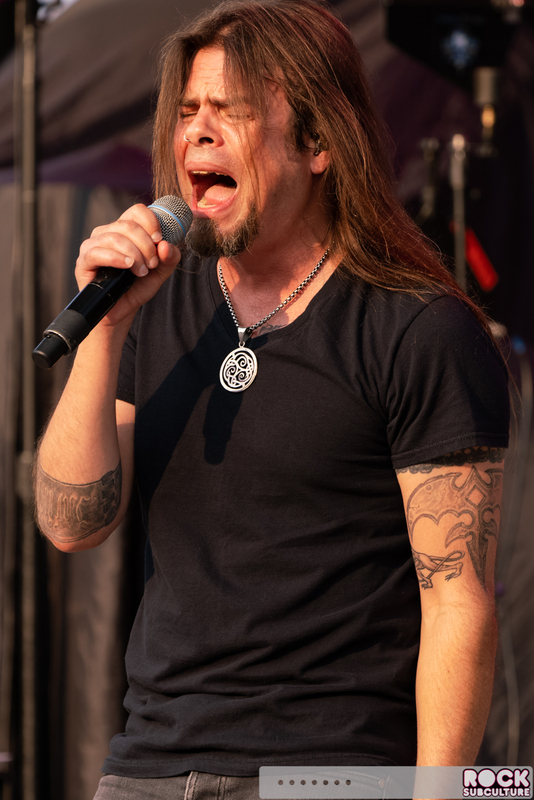 Most of the original band is still intact after all of these years, with Todd LaTorre joining the group on vocals in 2012. 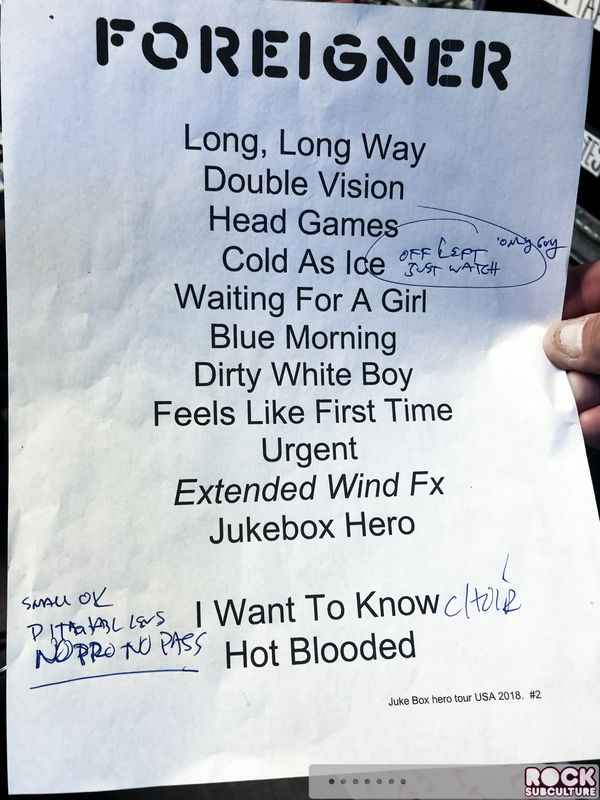 The band is expected to put out a new album soon, and they said during the performance that they just completed it. 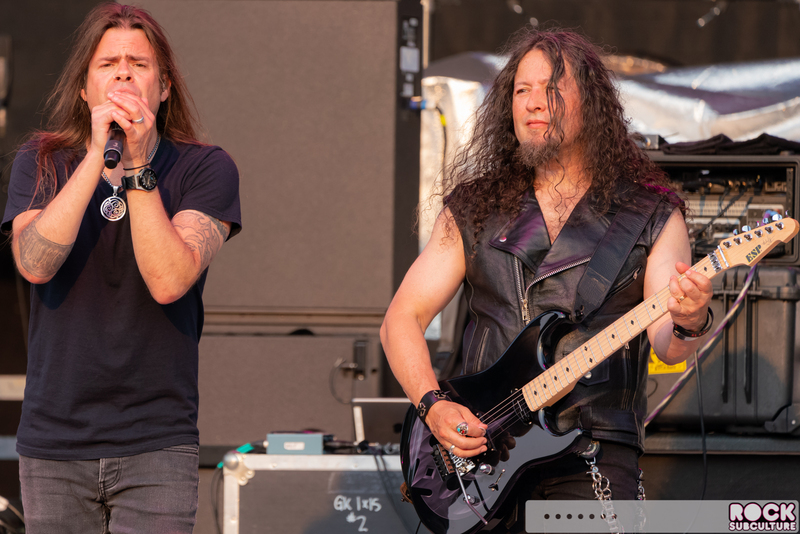 Heavy metal is one genre that I’ve never followed at all, so I don’t have an insightful perspective on their performance, but I did enjoy it and they definitely brought out a large crowd of fans that turned out specifically for them. 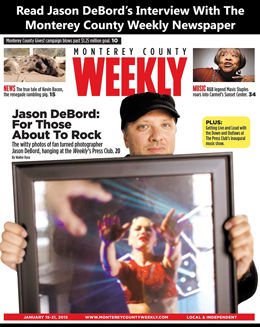 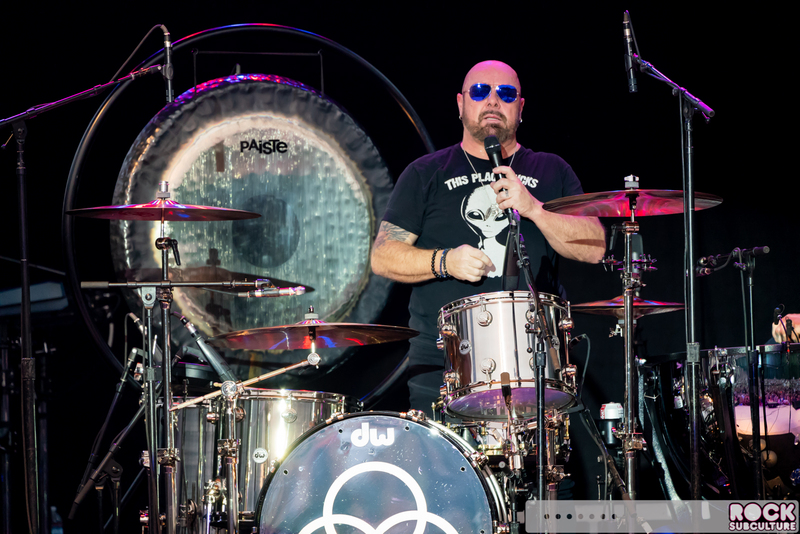 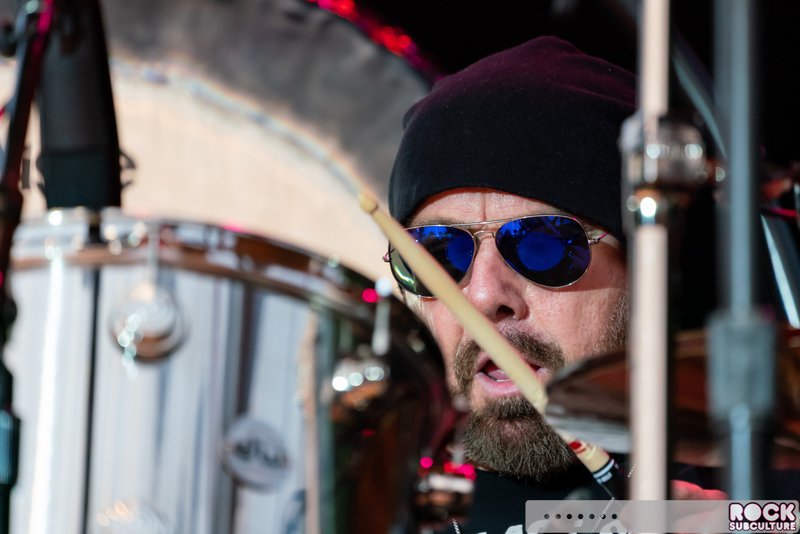 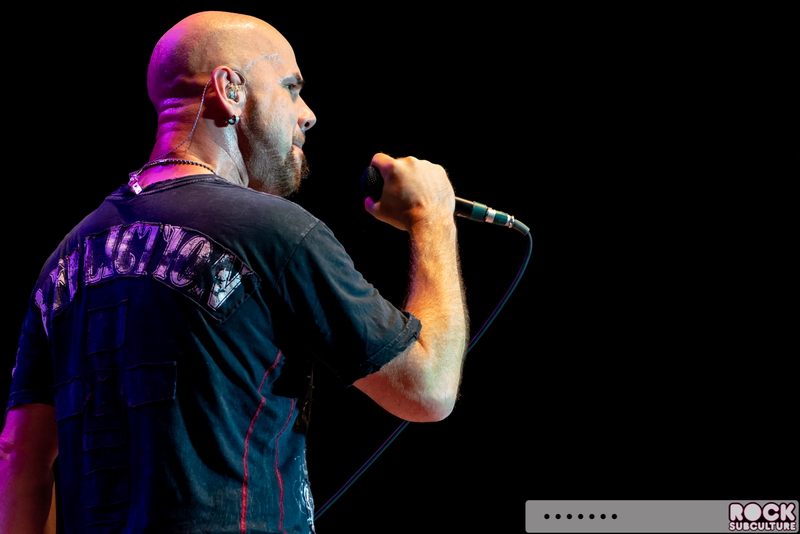 I last covered Jason Bonham (as Jason Bonham’s Led Zeppelin Experience) in 2013, on tour with Heart. 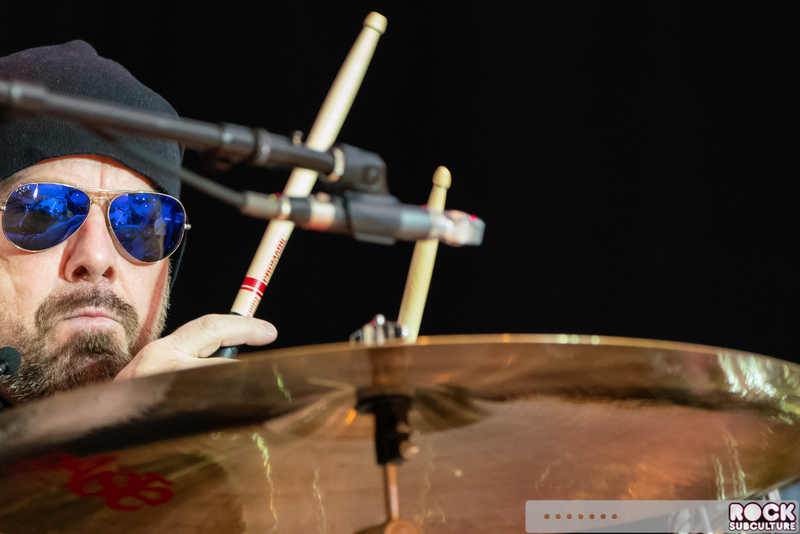 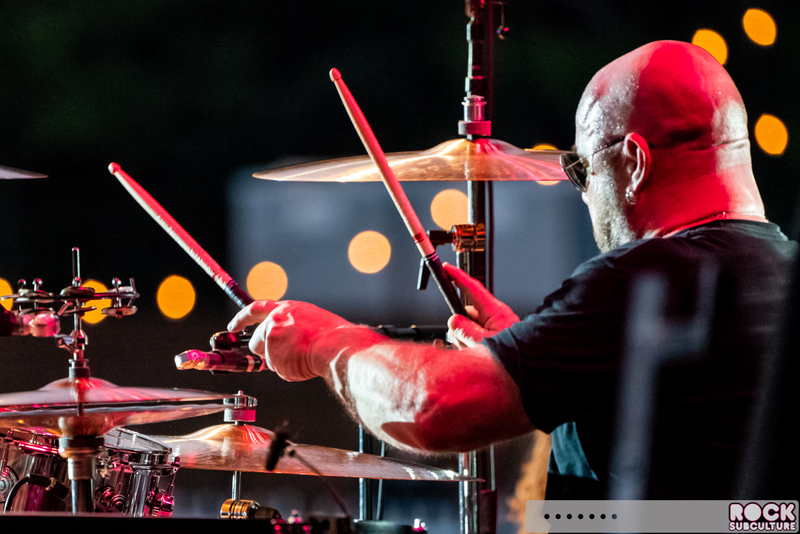 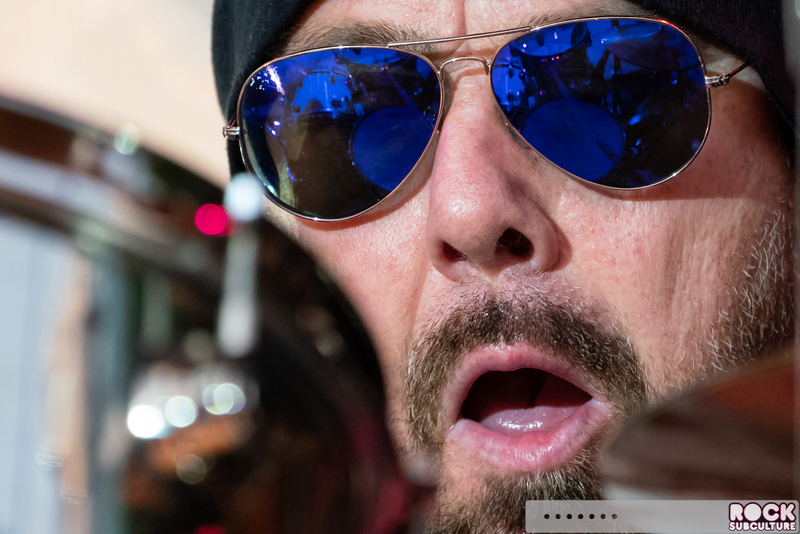 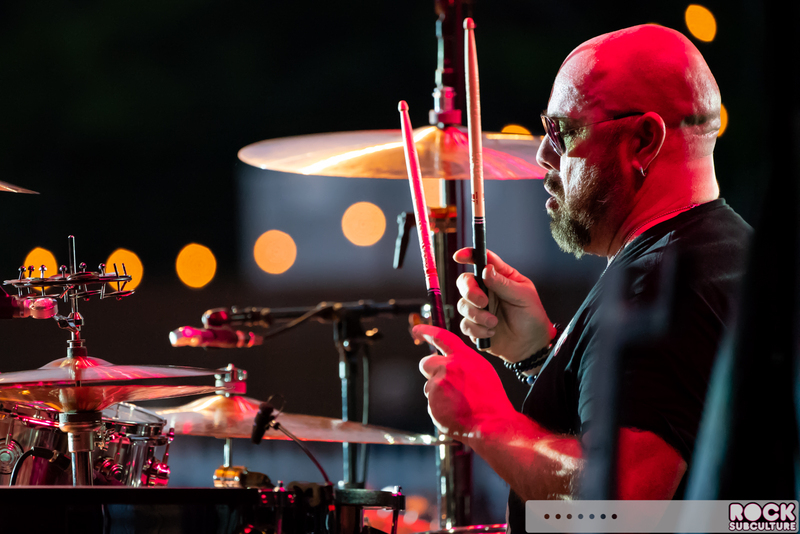 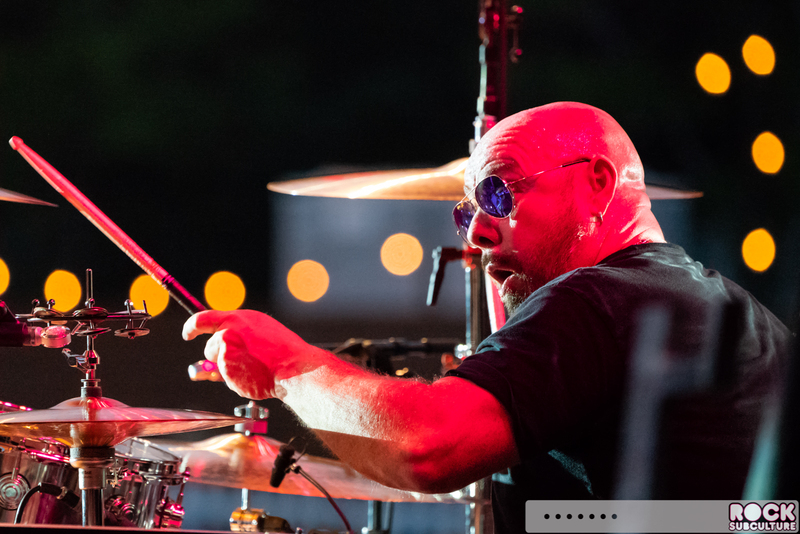 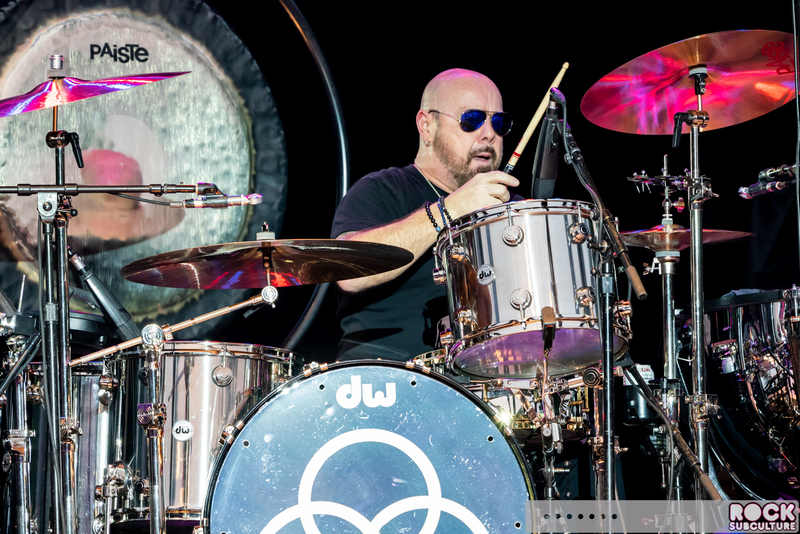 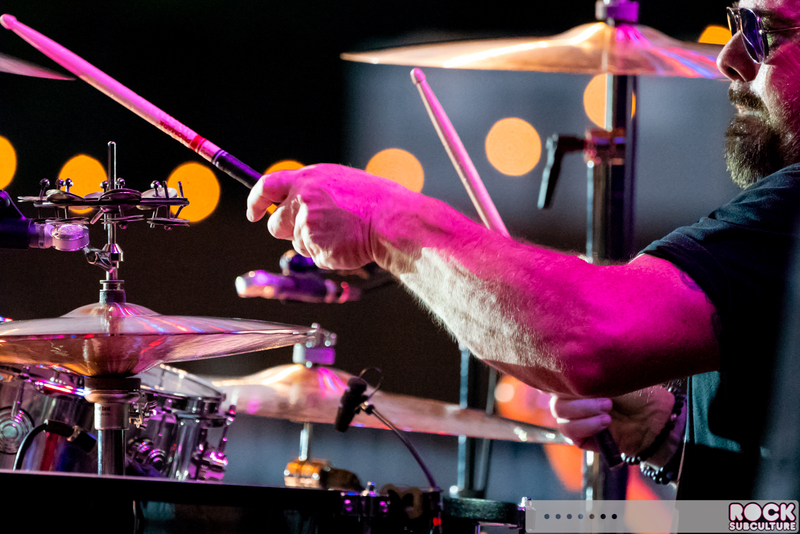 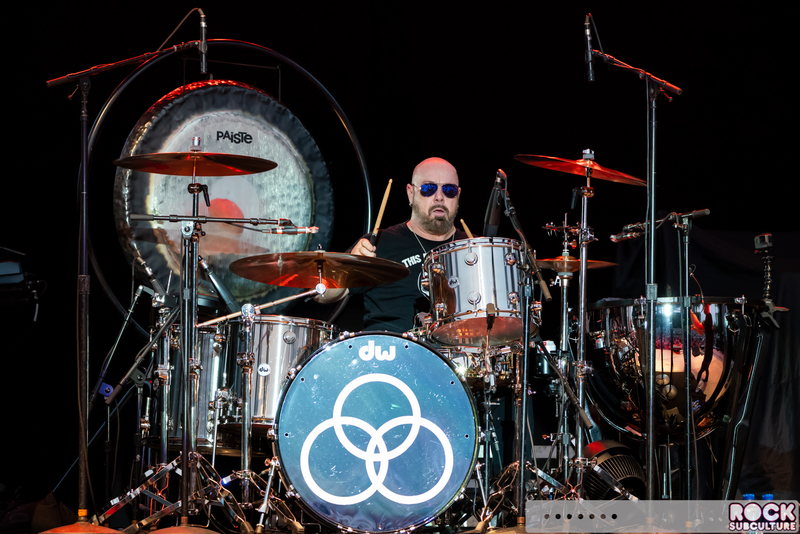 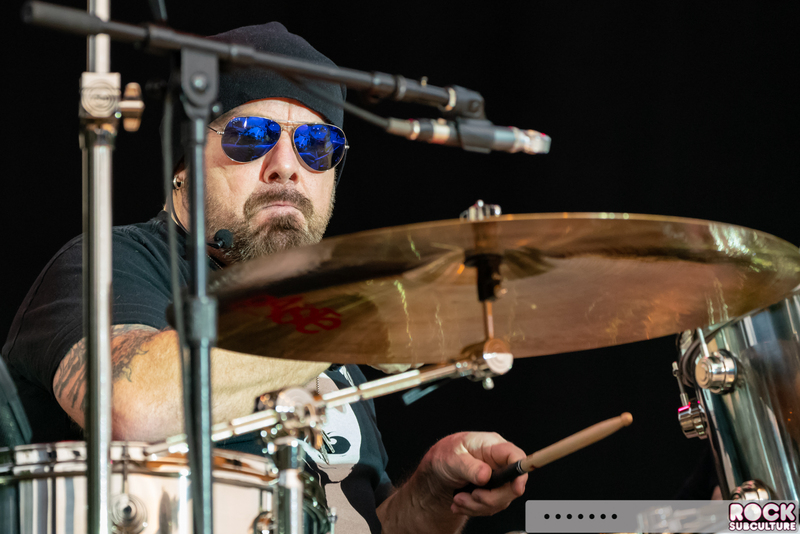 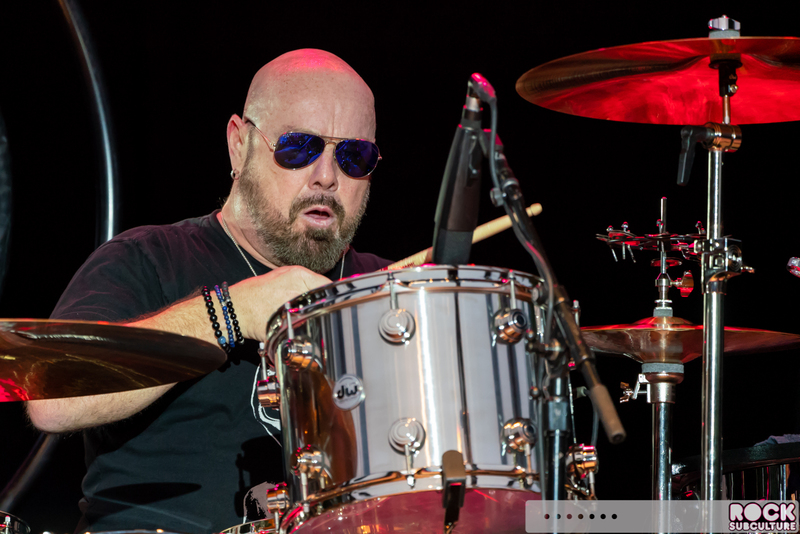 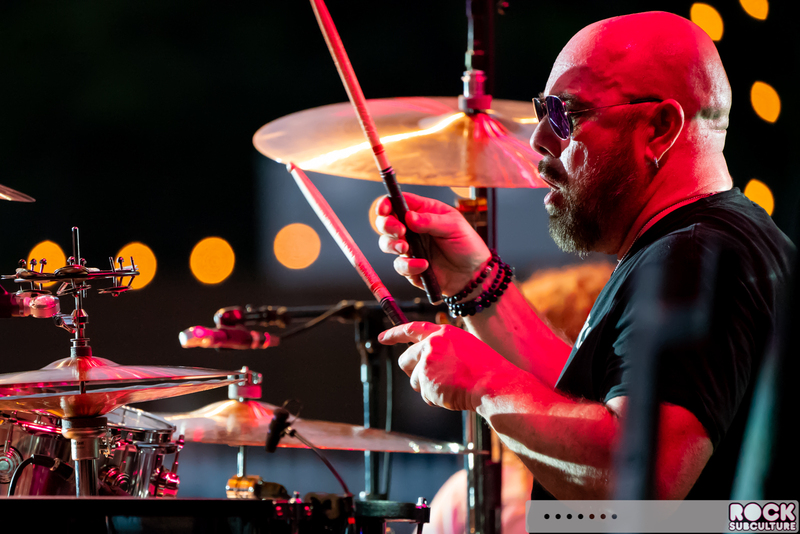 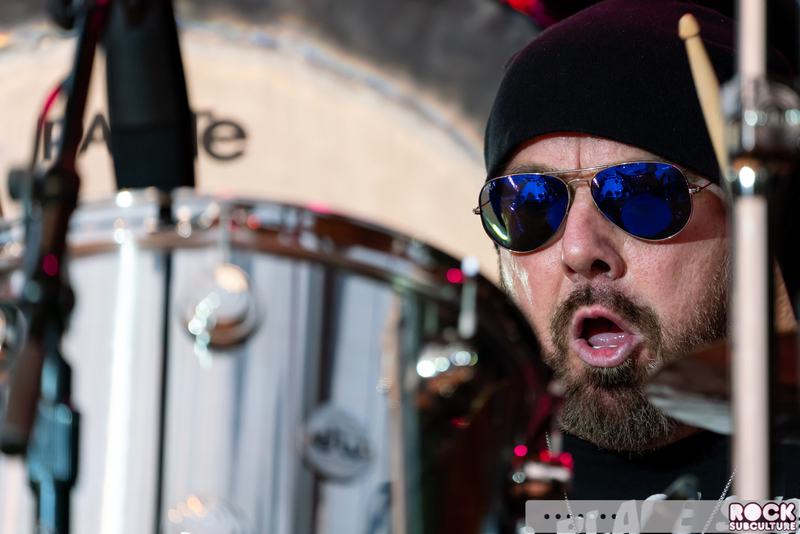 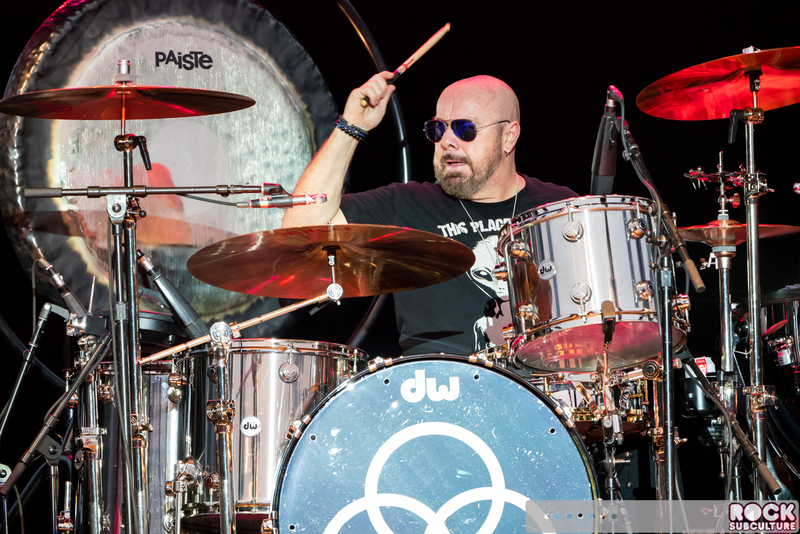 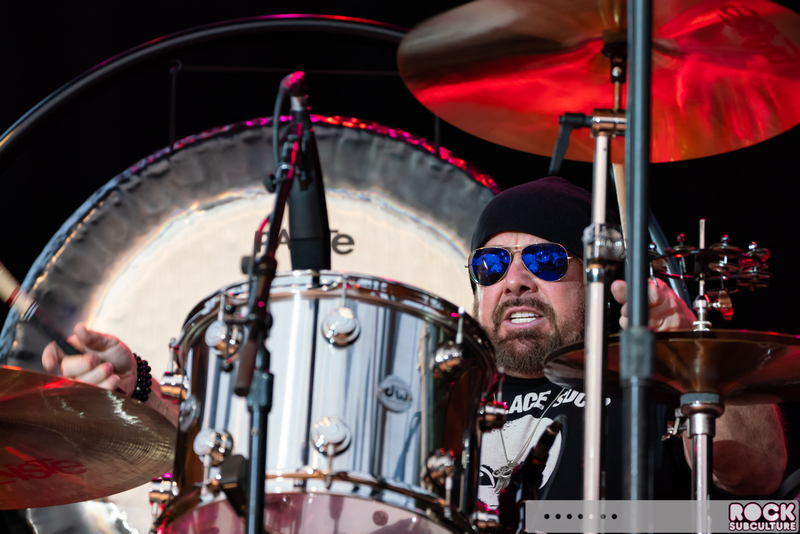 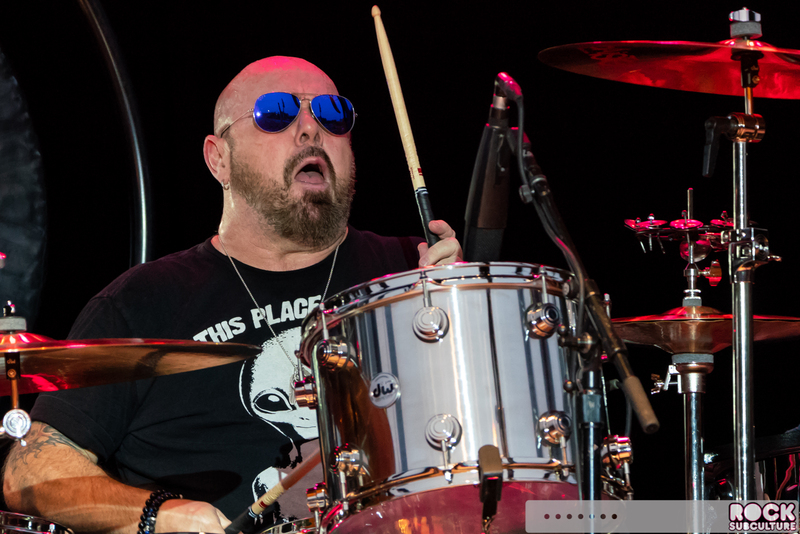 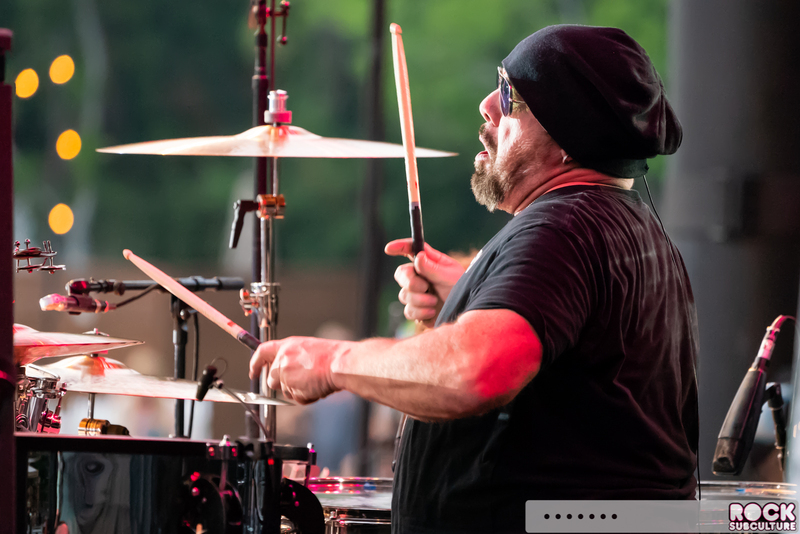 Jason Bonham is of course the son of legendary Led Zeppelin drummer, John Bonham, who is widely recognized by music lovers around the world as the greatest rock and roll drummer of all time. 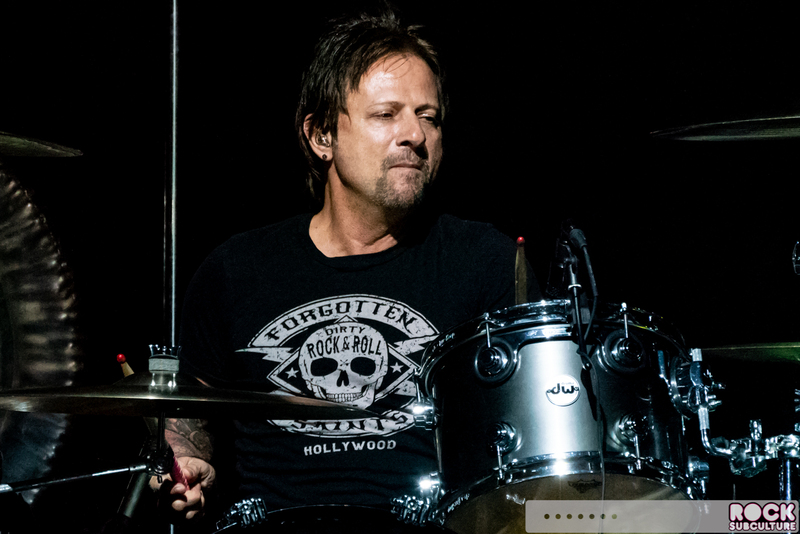 Jason tragically lost his father in 1980, and has himself been involved with music his entire life. 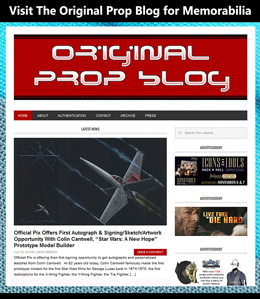 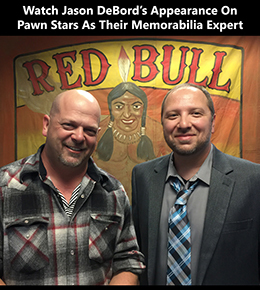 He has worked with many artists and appeared in film and television. 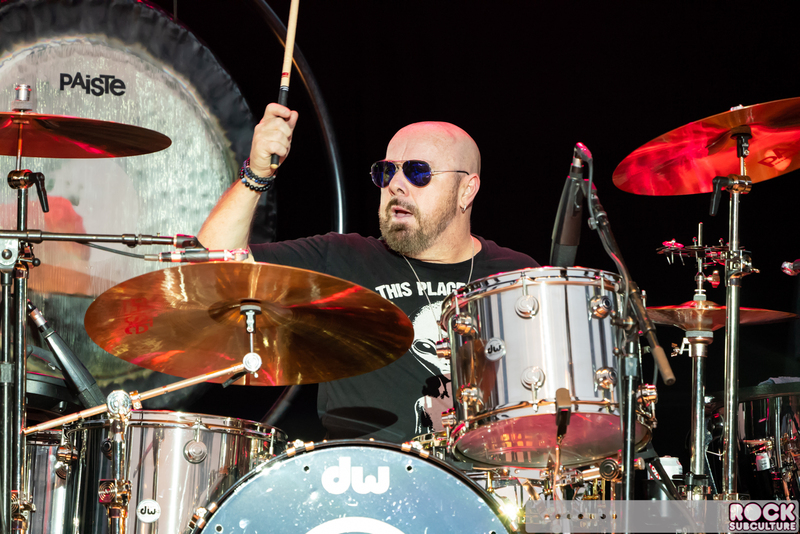 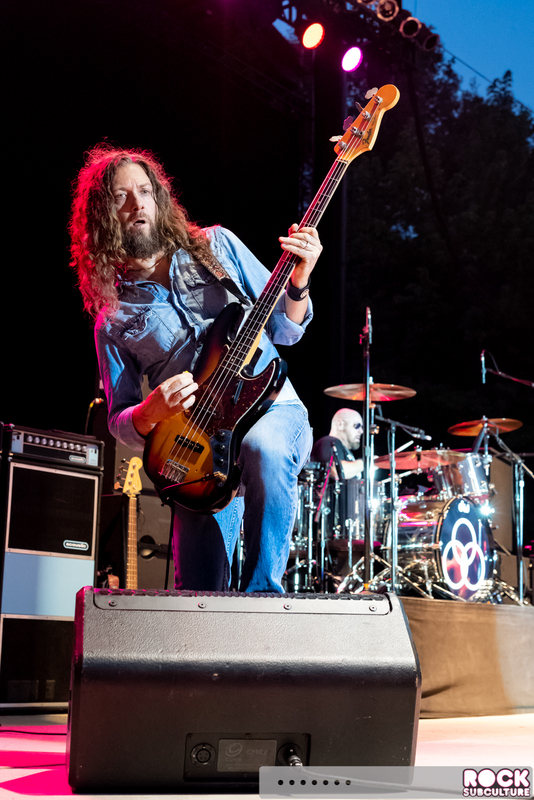 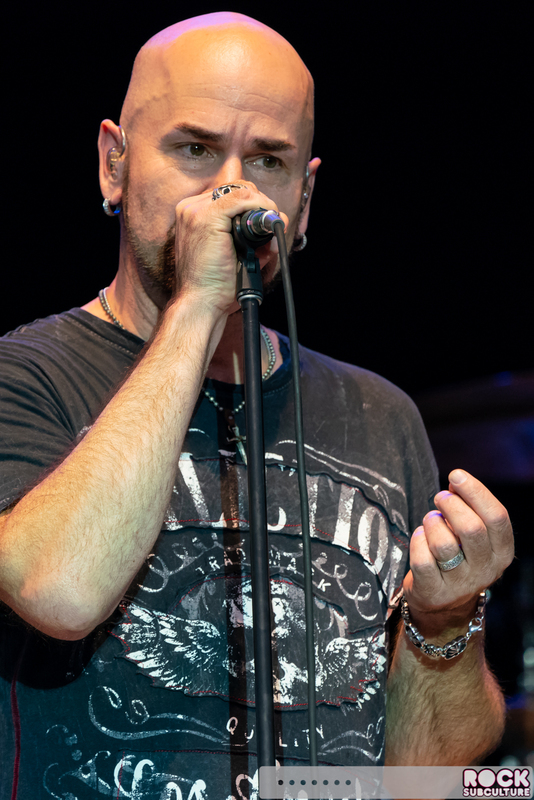 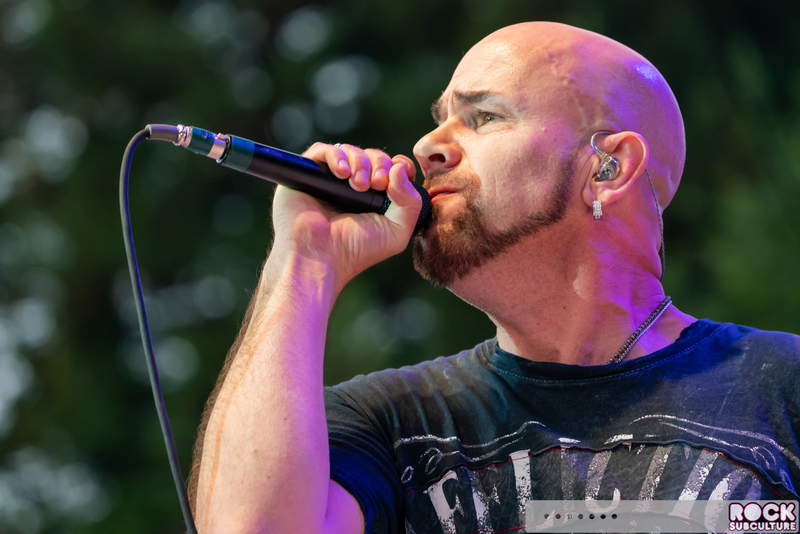 It was in 2010 that he formed Jason Bonham’s Led Zeppelin Experience, which began touring the world the following year (renamed Led Zeppelin Evening recently). 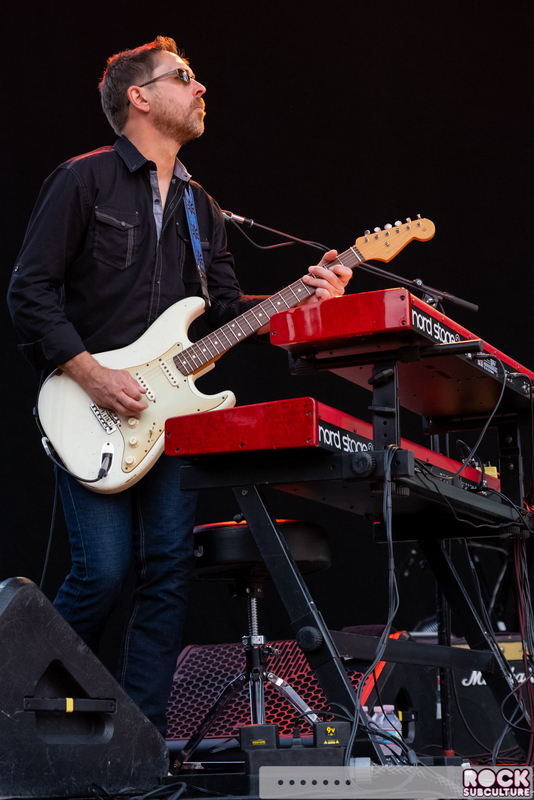 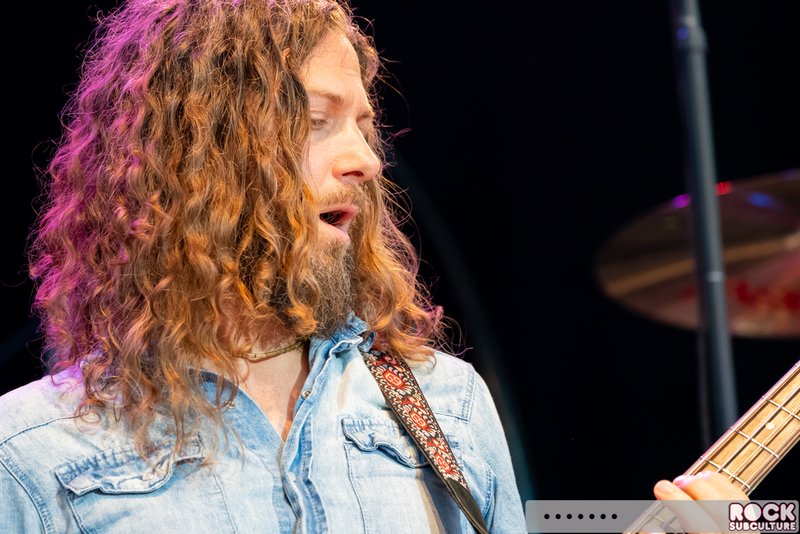 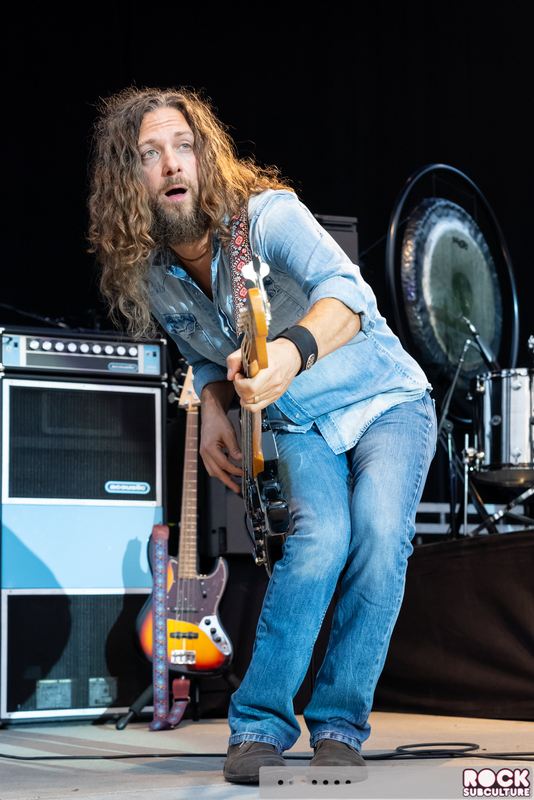 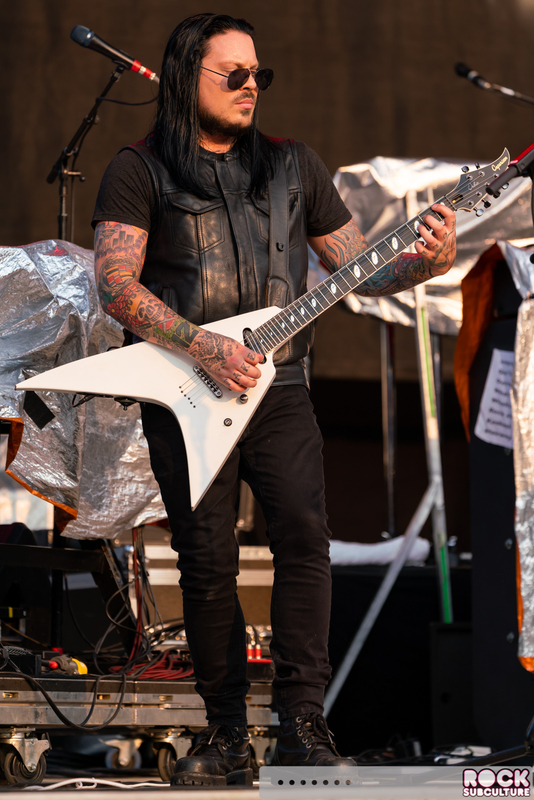 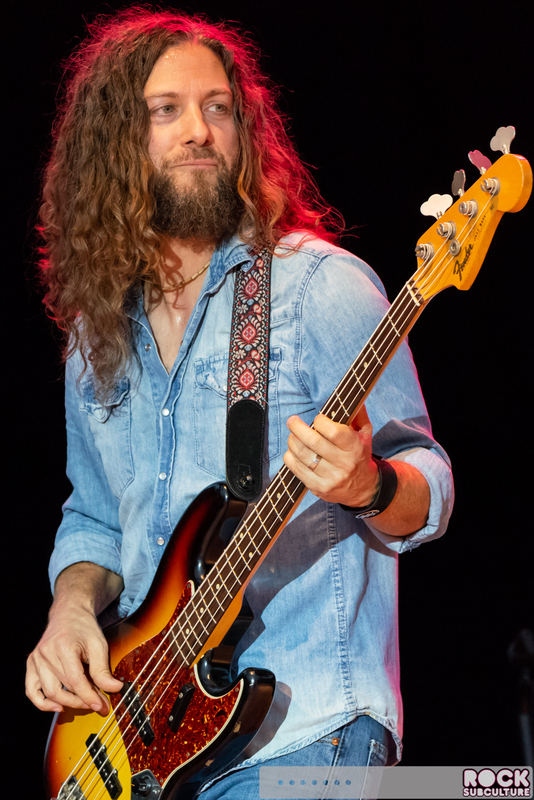 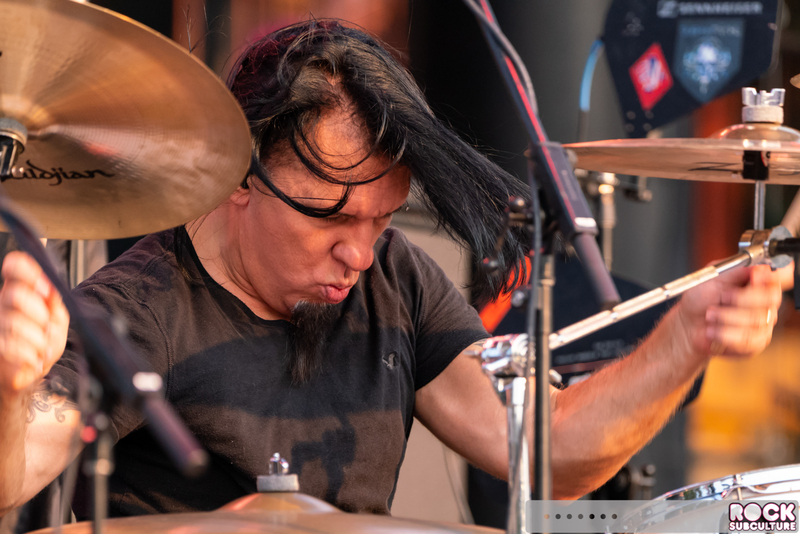 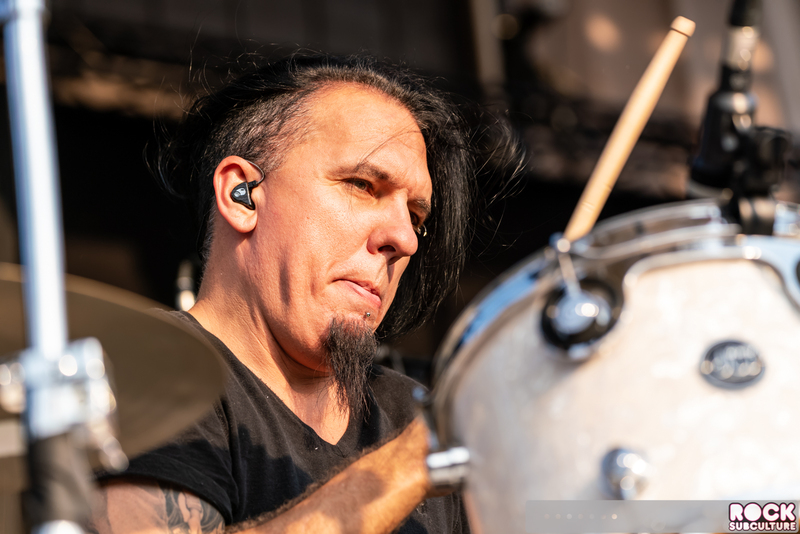 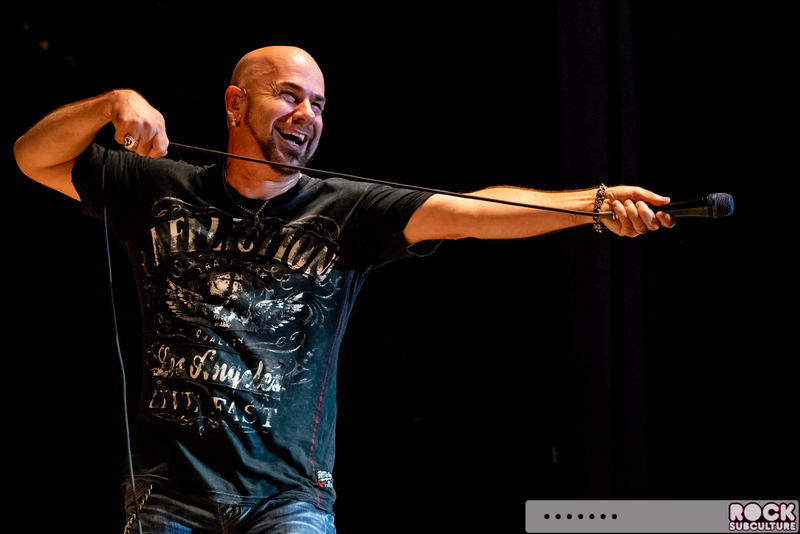 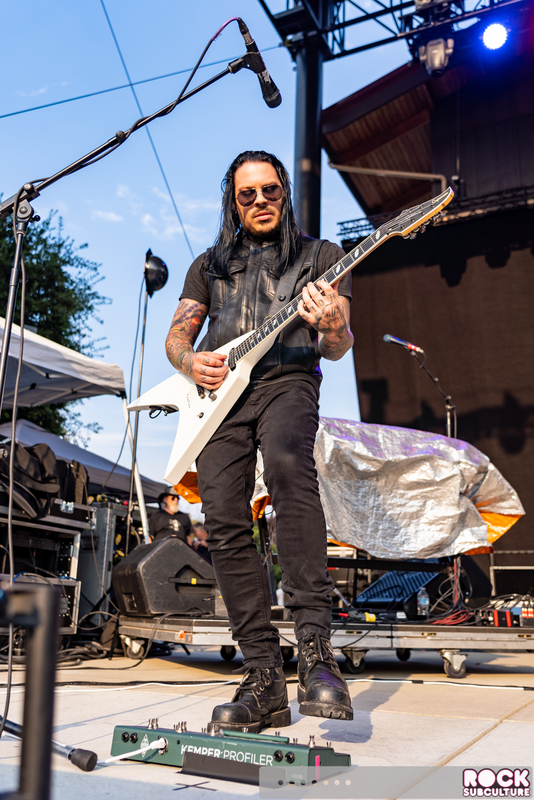 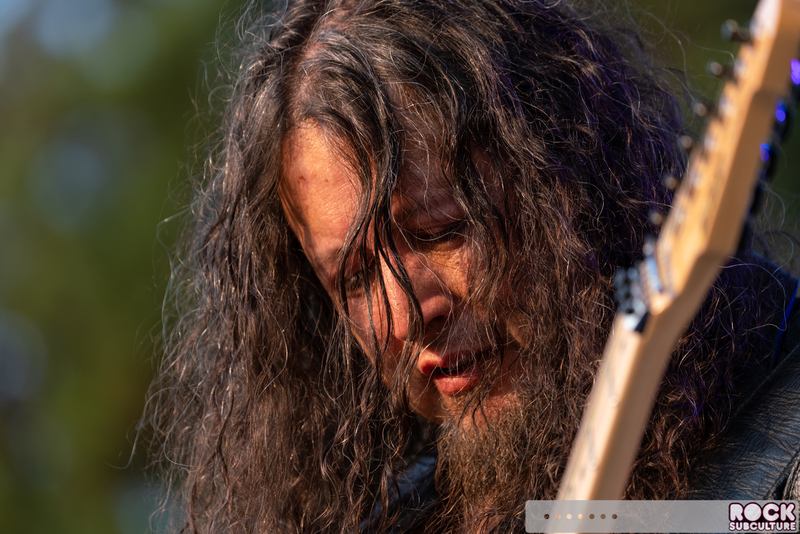 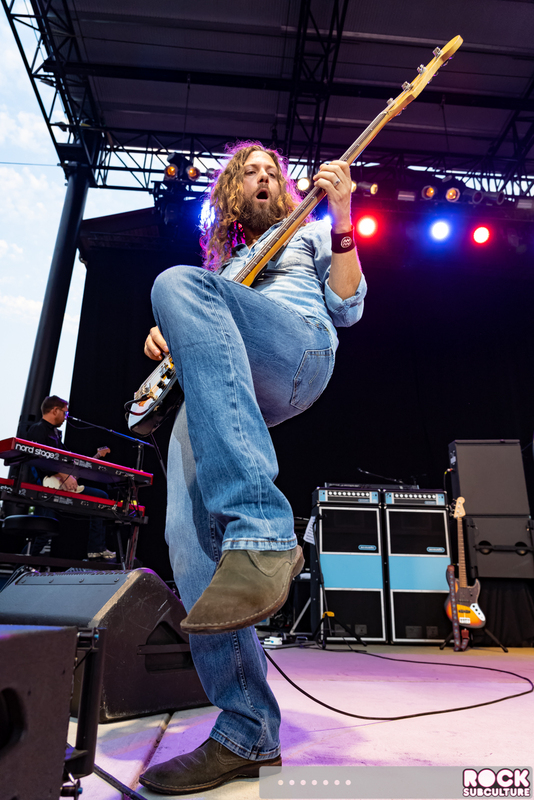 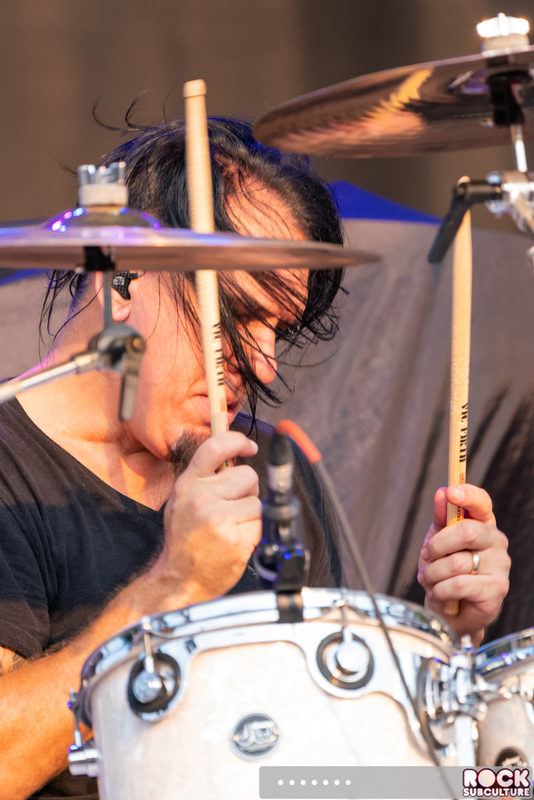 As with the last show I saw years ago, Jason took time during the concert to impress upon the audience that what he is doing is paying tribute to his father, and bringing everyone else along for the ride. 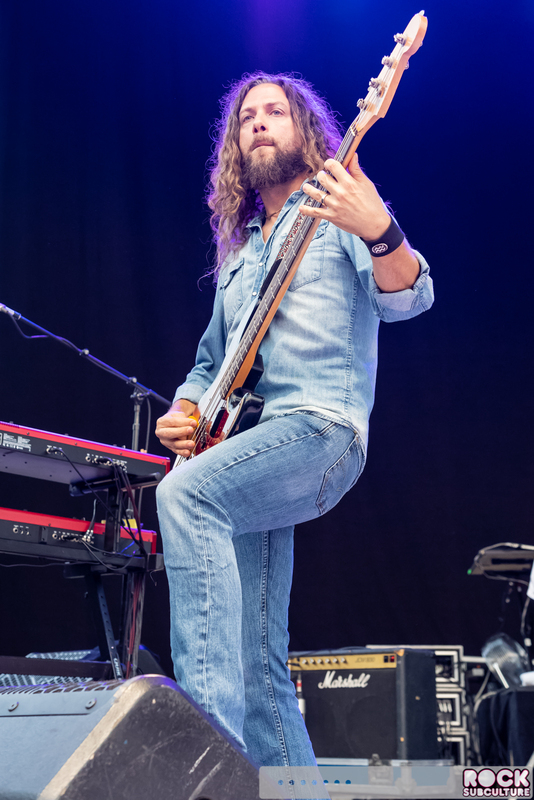 Jason’s bandmates did a phenomenal job filling those big shoes to bring the music to life in an authentic and captivating manner. 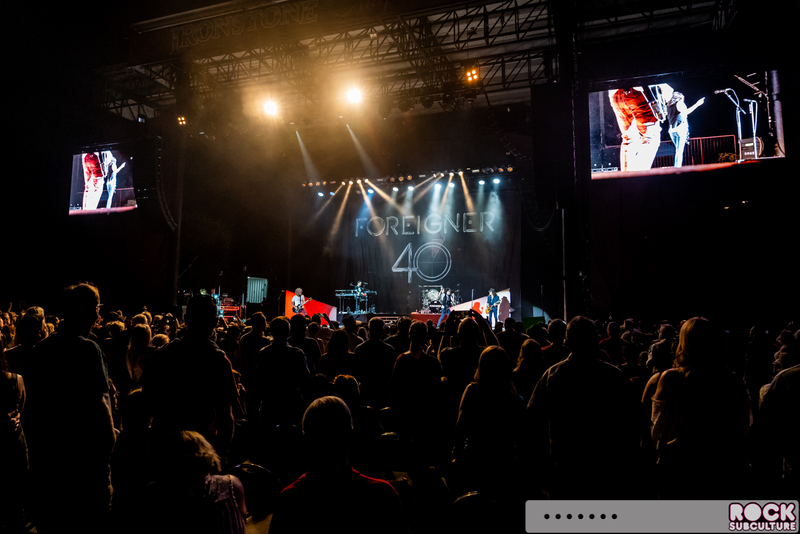 I last covered Foreigner at a Mountain Winery show in 2014. 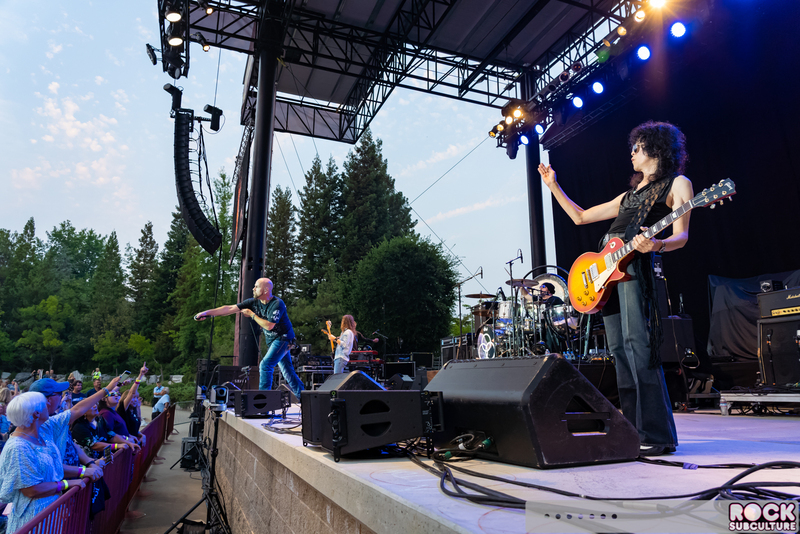 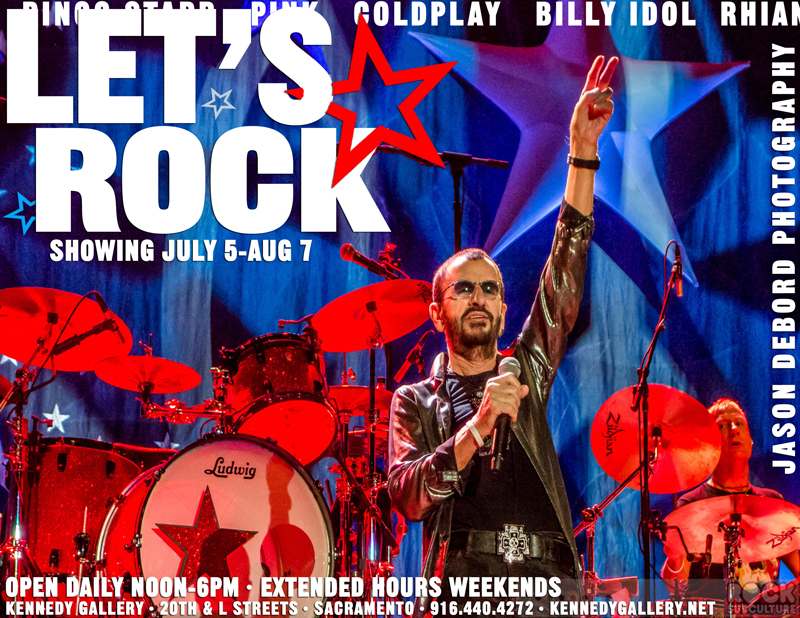 Founding member Mick Jones did not perform at this show. 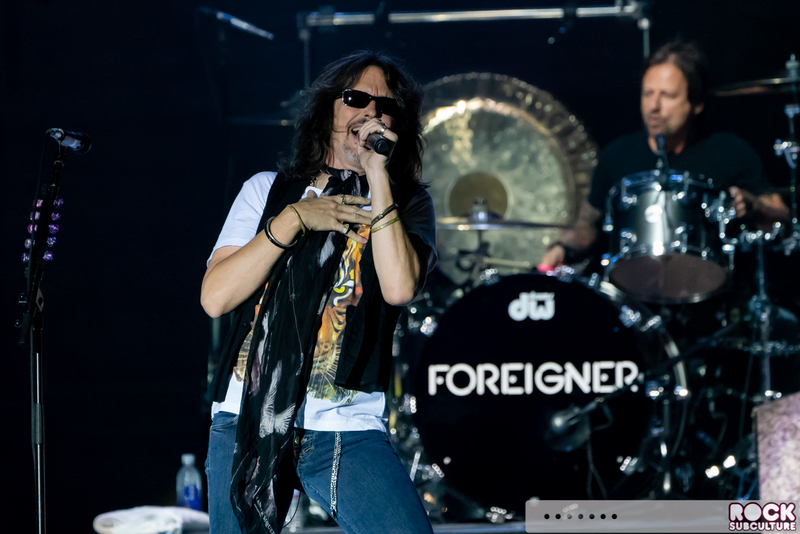 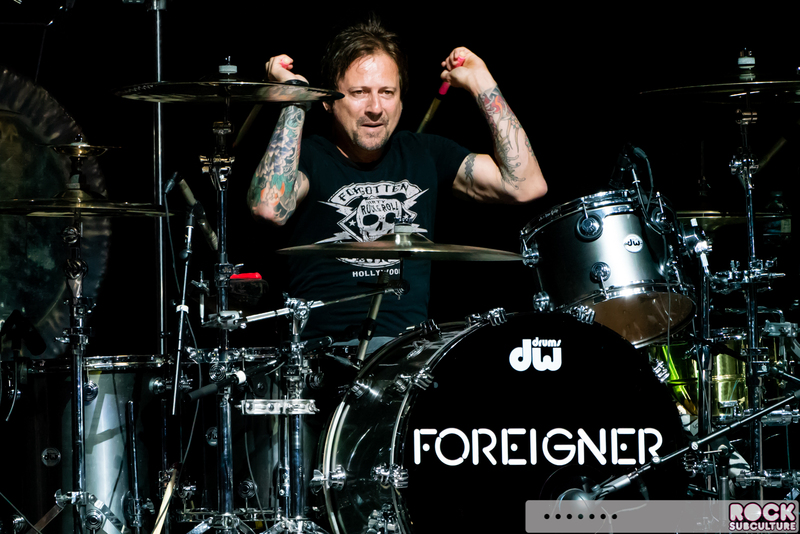 Of course, Foreigner is one of those classic bands with origins in the mid-70s, having been founded by English musicians Mick Jones and Ian McDonald and American Lou Gramm. 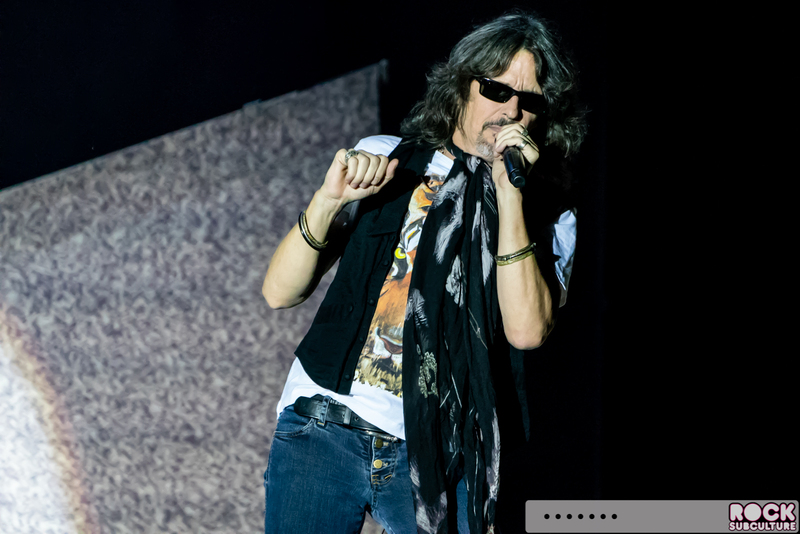 Their self-titled debut was released in 1977, and included the hit, “Cold as Ice” and sold many millions of copies. 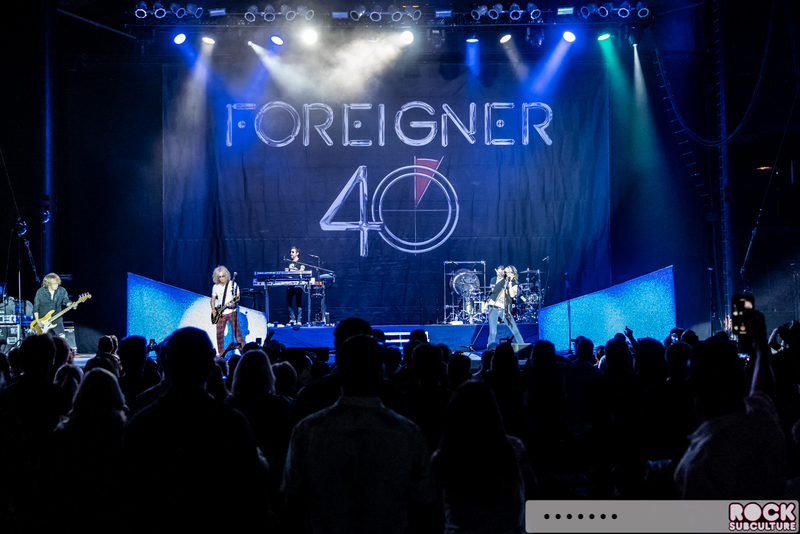 They had immediate success, with headlining world tours. 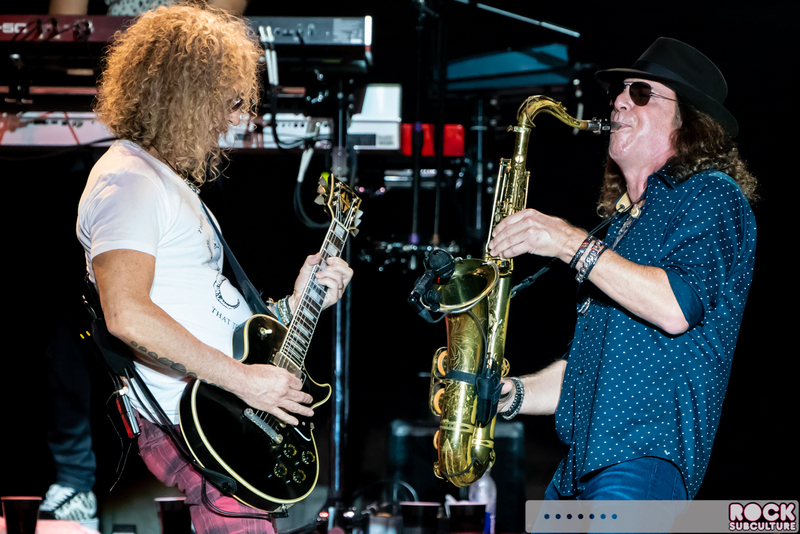 Their 1978 follow-up, Double Vision, included the hit, “Hot Blooded”, and in 1979 they released their third album, Head Games, which included “Dirty White Boy”. 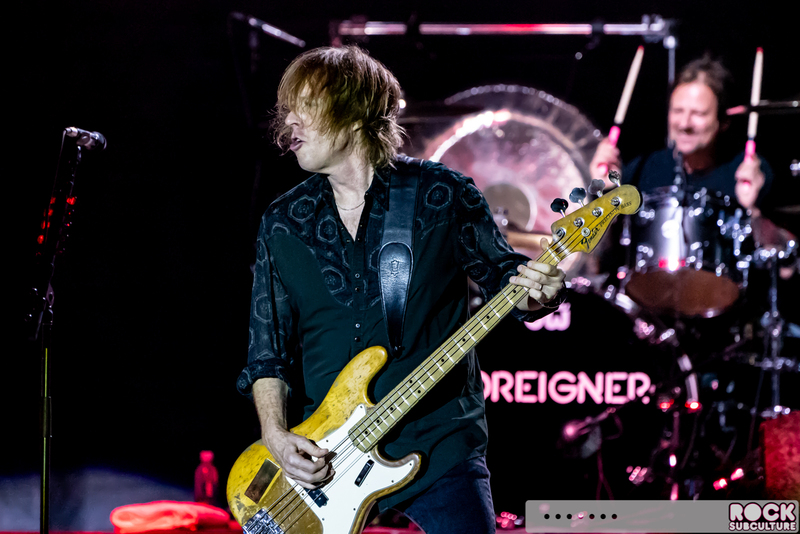 The band started going through significant line-up changes beginning in 1980. 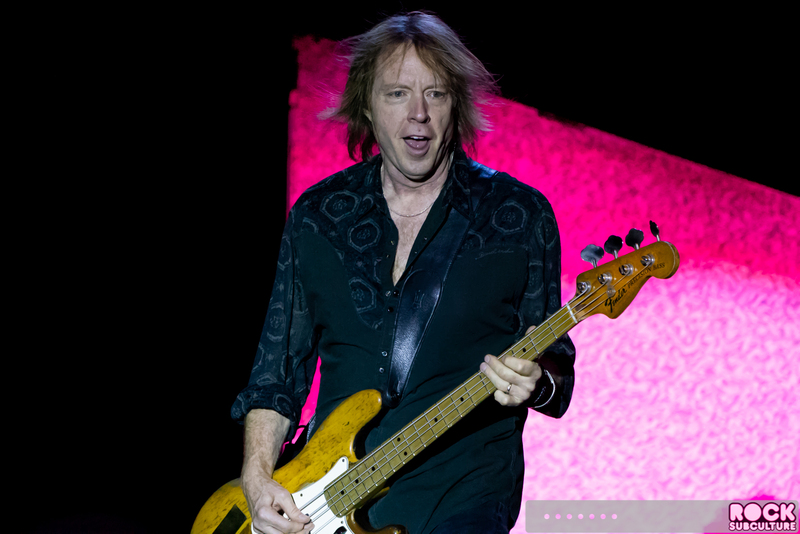 Their 1981 album, 4, included a string of hits: “Urgent”, “Waiting for a Girl Like You”, and “Juke Box Hero”. 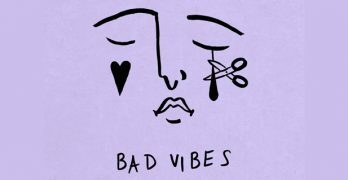 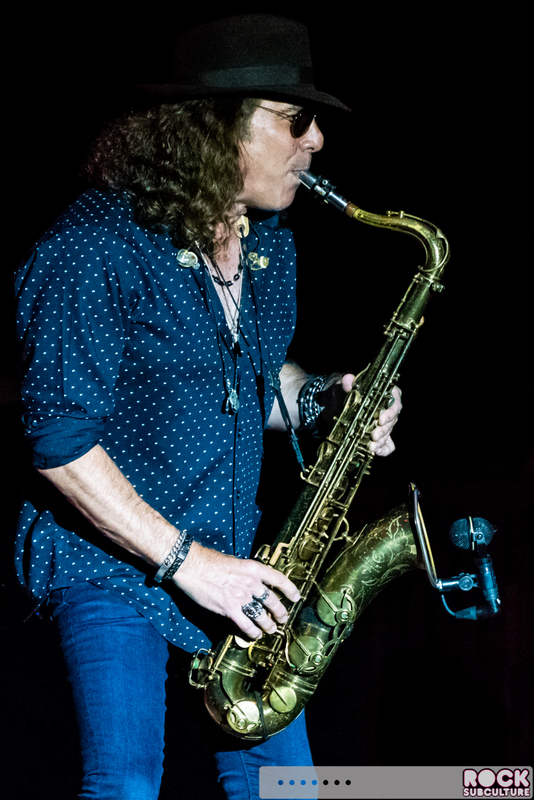 Interestingly, you can hear the immediate influence of 80s style of music with this album, with more prominent use of keyboards (and less guitar) on the song “Urgent”, as well as the catchy saxophone solo. 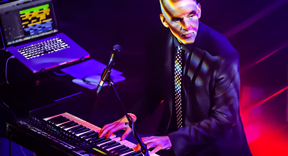 Interestingly, they used Thomas Dolby to program and play synthesizer on “Urgent”, before he found success with his own hit album. 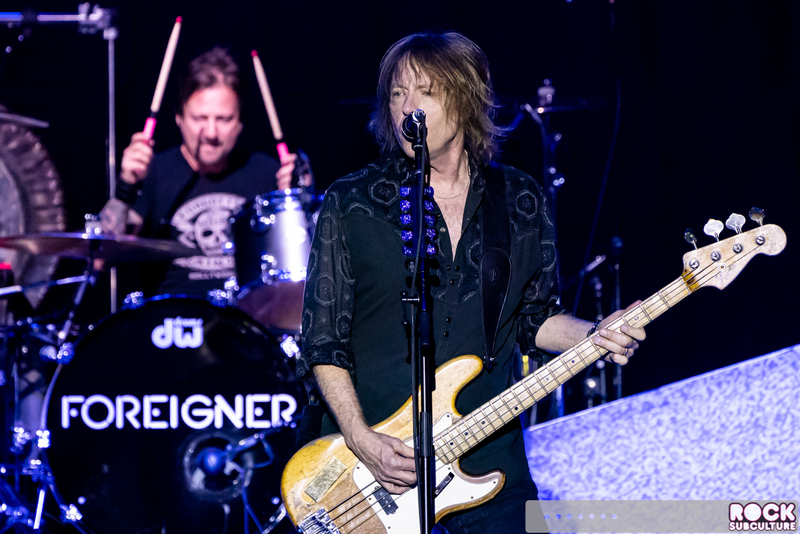 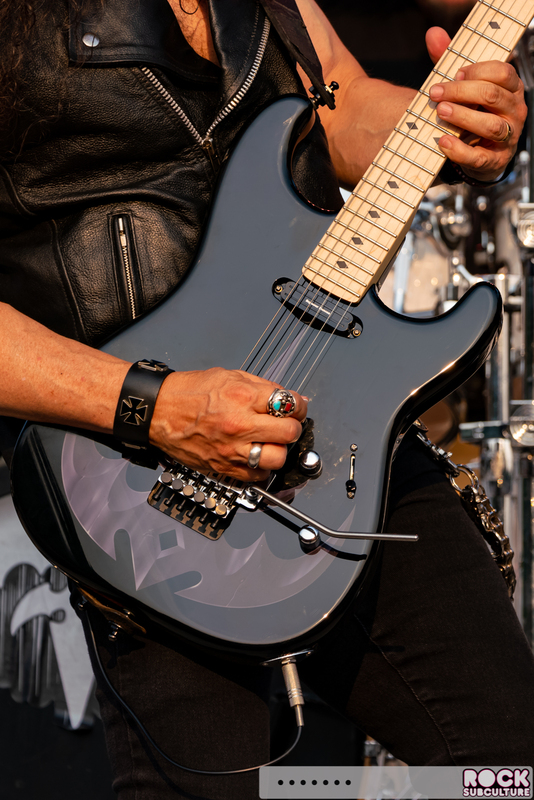 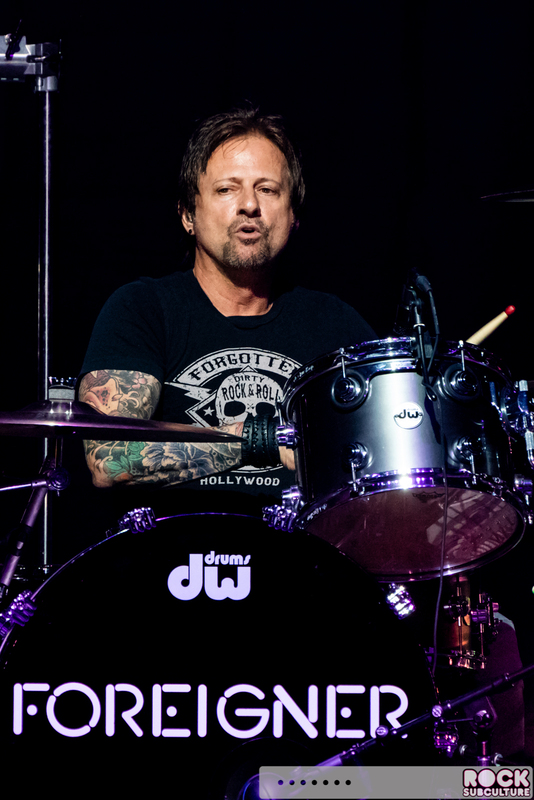 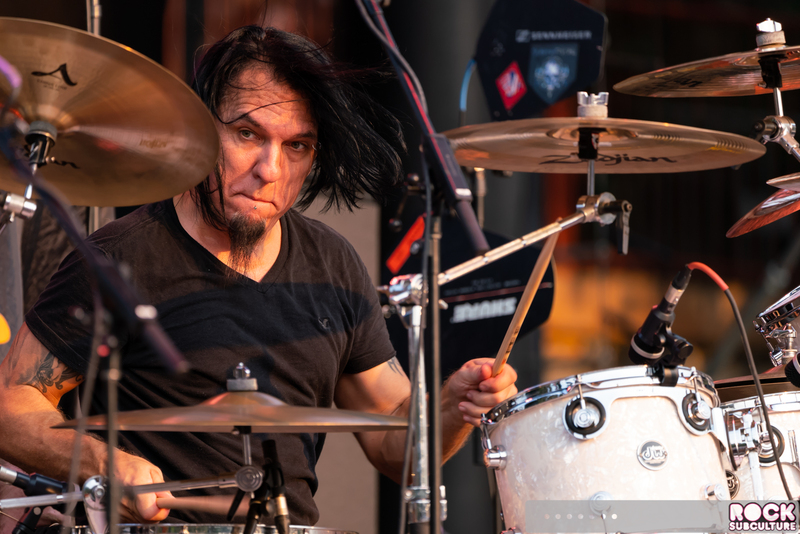 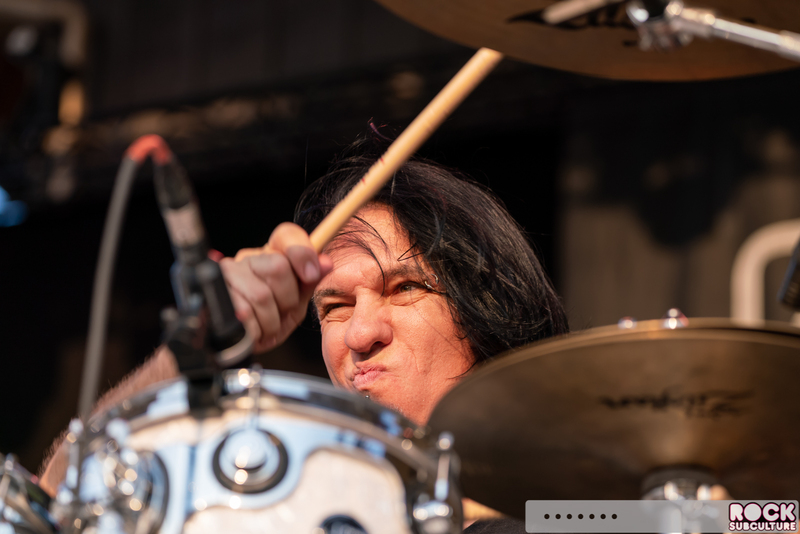 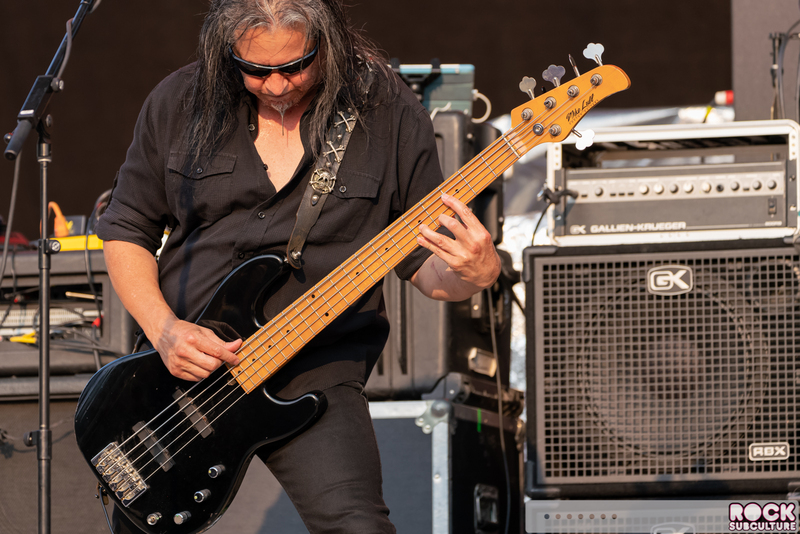 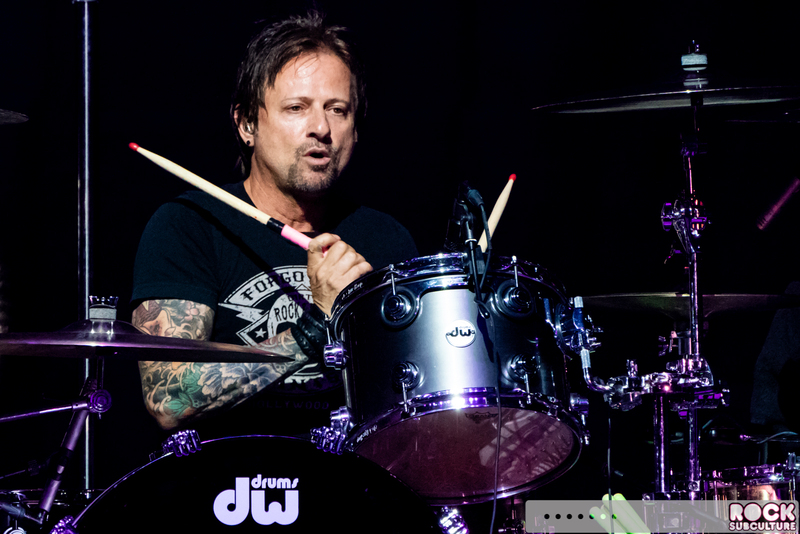 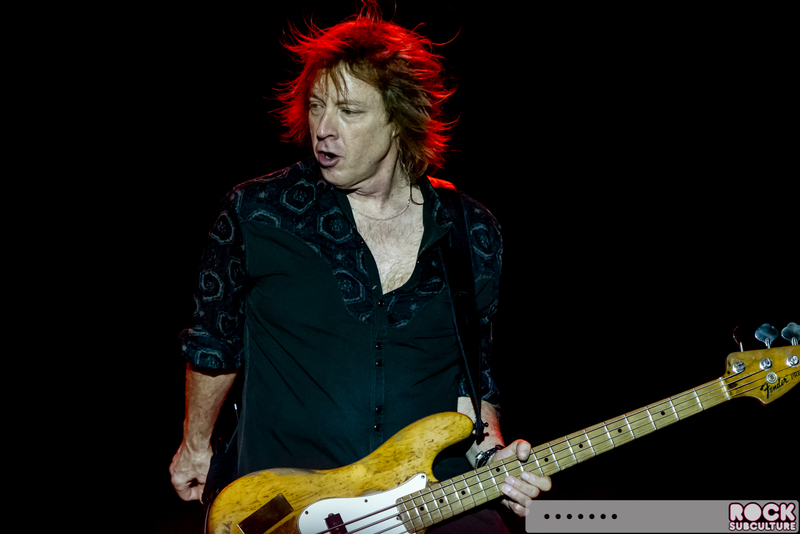 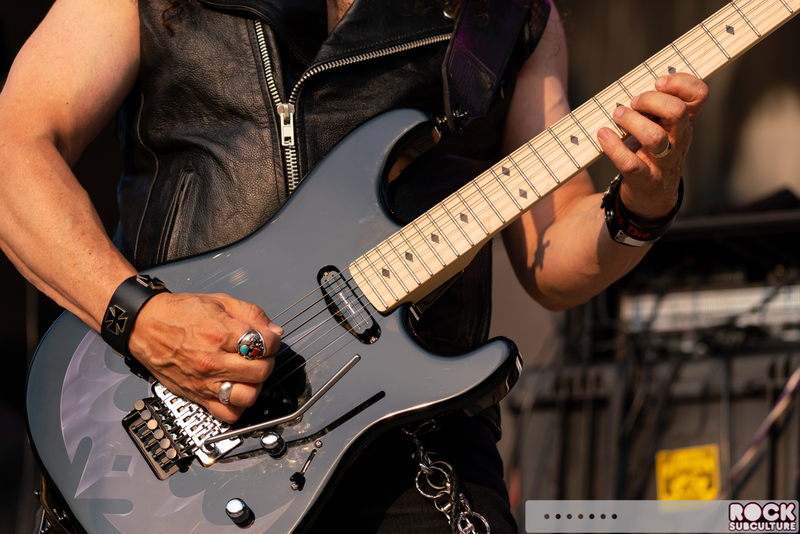 Some of the current members of the band were put in place about a decade ago, with founding Dokken member Jeff Pilson joining for a benefit concert in Santa Barbara, and singer Kelly Hansen signing up a year later. 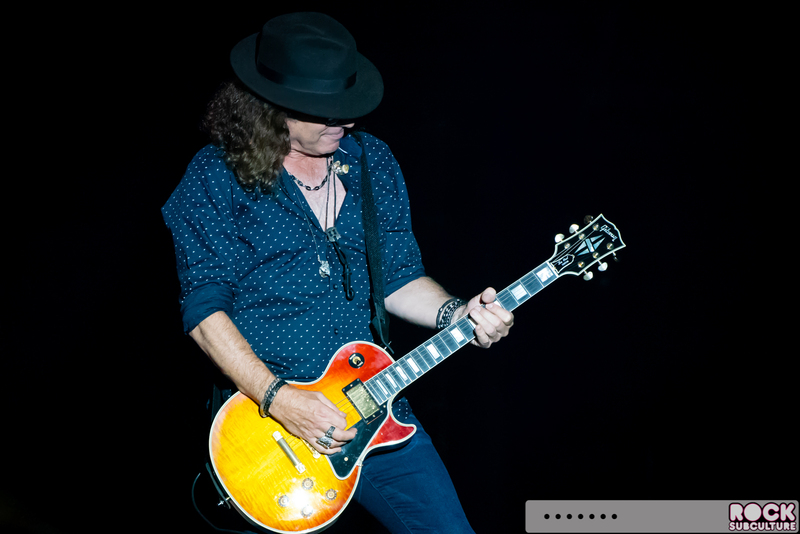 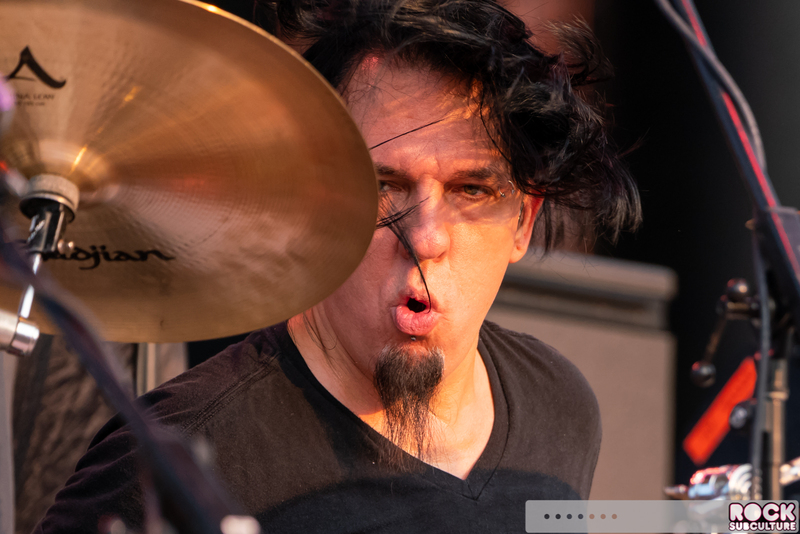 Guitarist Bruce Watson began to fill in for Mick starting in 2011 and Chris Frazier became the new drummer/percussionist in 2012. 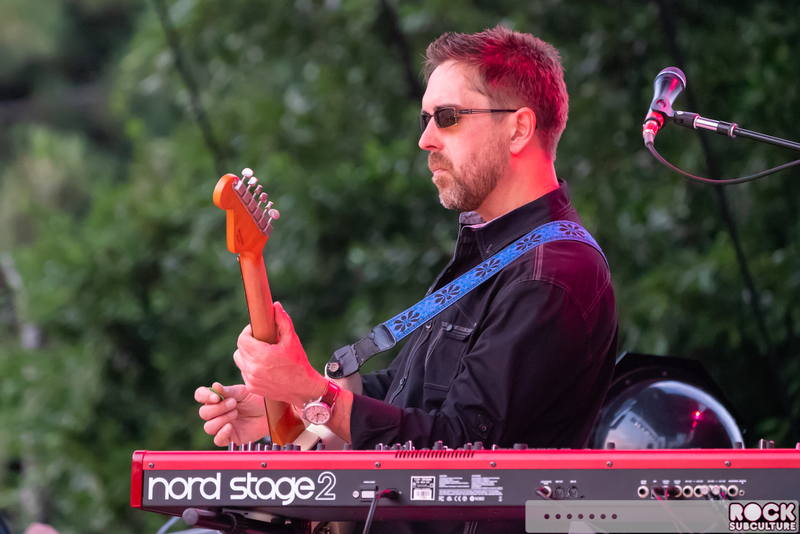 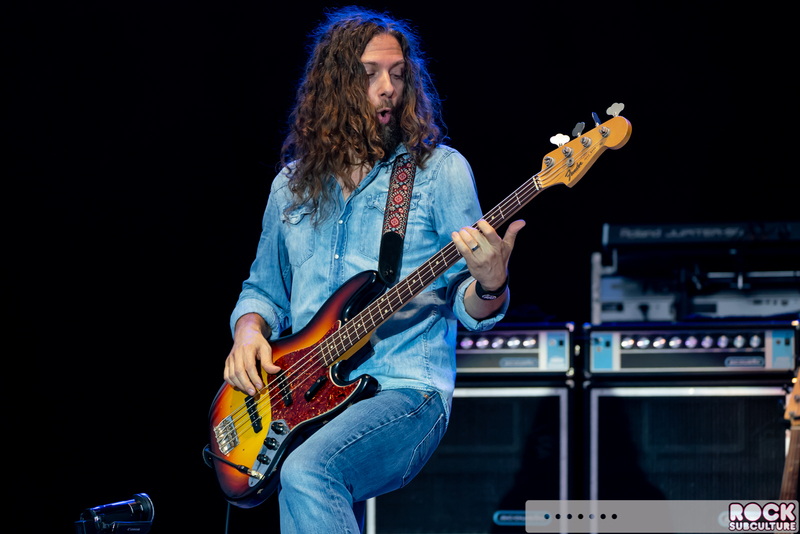 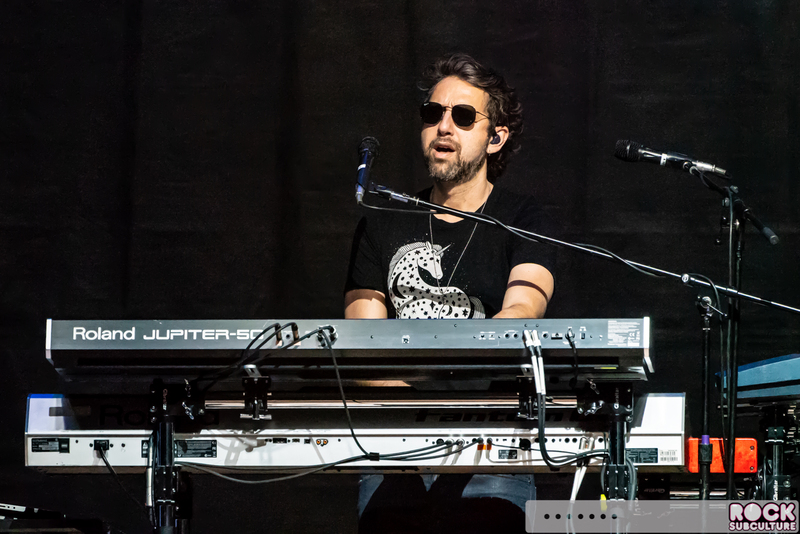 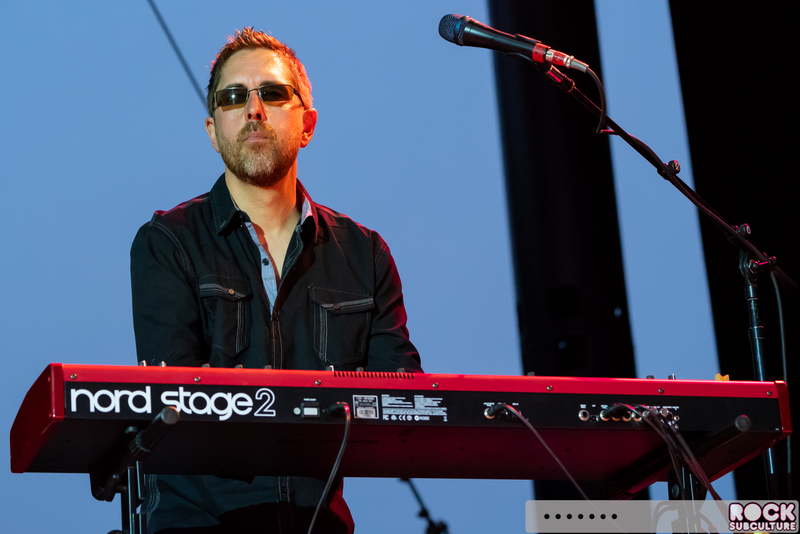 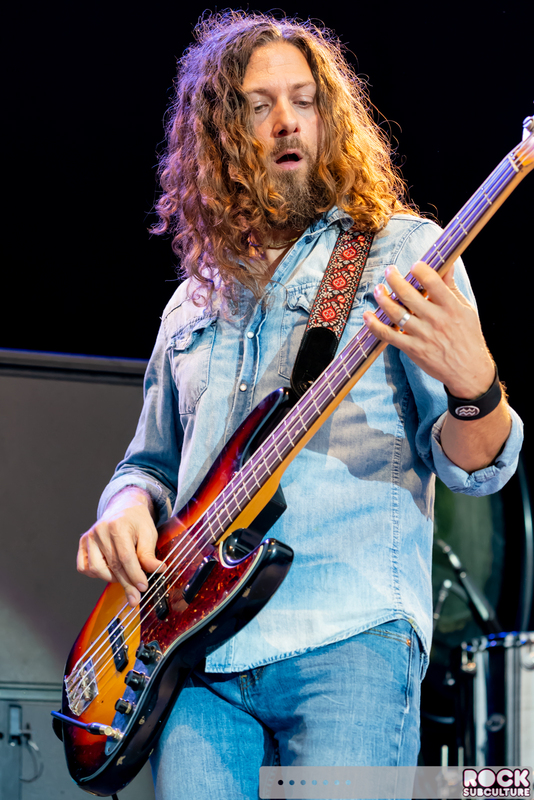 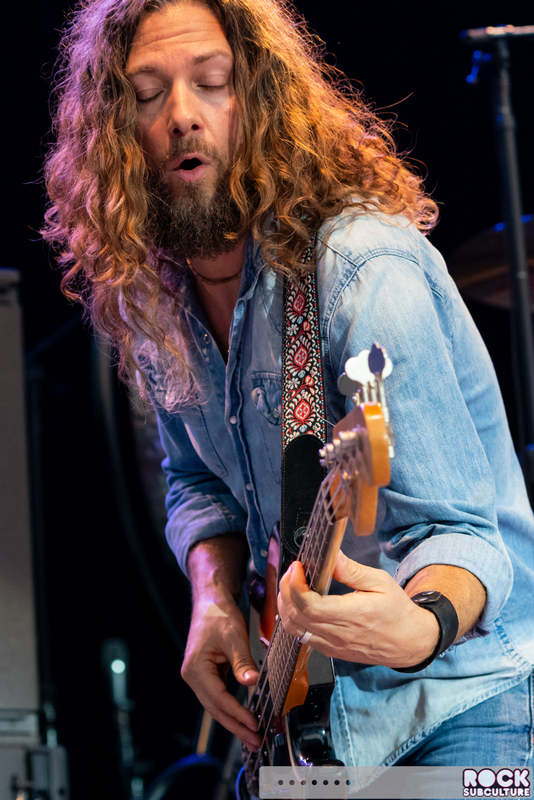 Michael Bluestein started up with the band in 2008, and Thom Gimbel is the most seasoned of the group, with origins with the band going back to 1992. 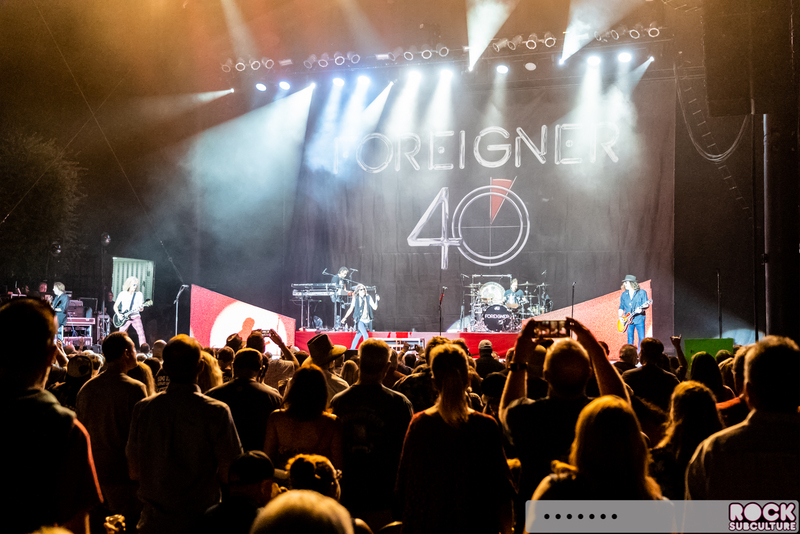 I have always been just a casual fan of Foreigner, with my love of their music grounded more in the work of the early 80s (particularly 4). 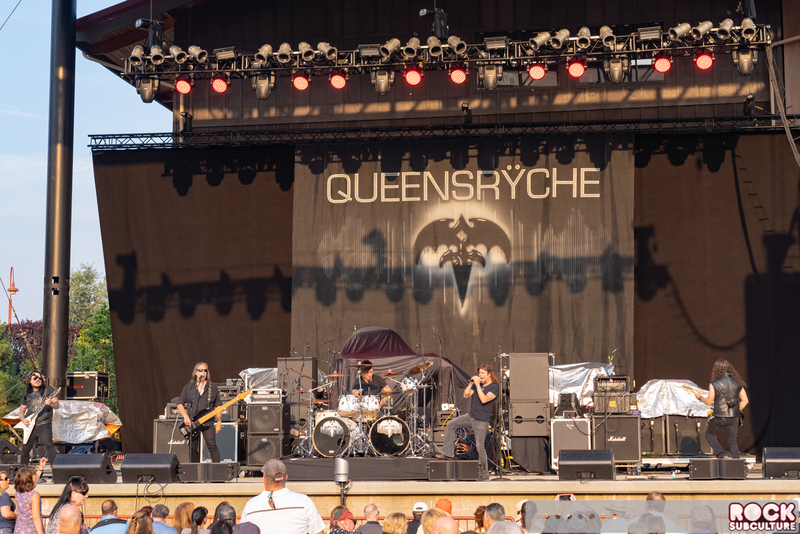 As with my last experience seeing them live, they definitely had real gravitas as a band, with great stage presence, and perfect sound. 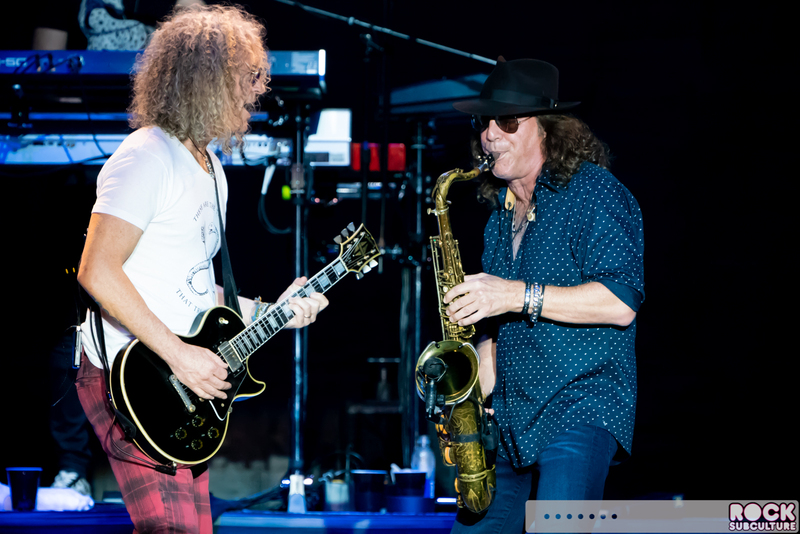 All of the players seemed to be very precision-oriented with their respective instruments, and they played very well together. 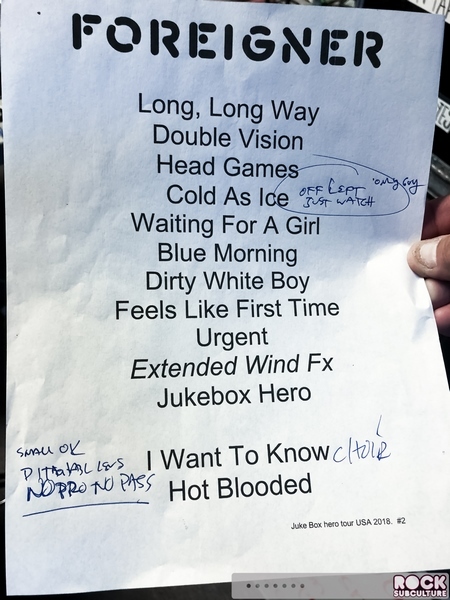 All in all, it was a fantastic show. 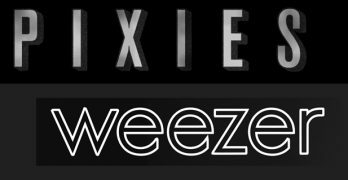 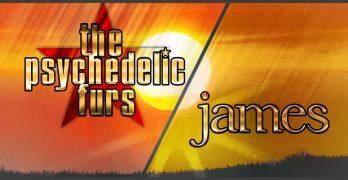 Some might dismiss the current incarnation of the band due to the lack of original members, but my perspective on this (as it comes up with other bands as well) is whether there is some lineage and transitioning from old to new, and if the music is being kept alive in a genuine and authentic way. 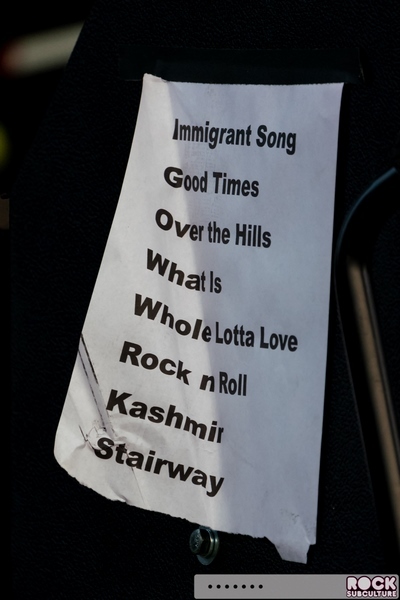 I think the current line-up of the band is amazing and they put on an incredible show that did justice to these classic songs.